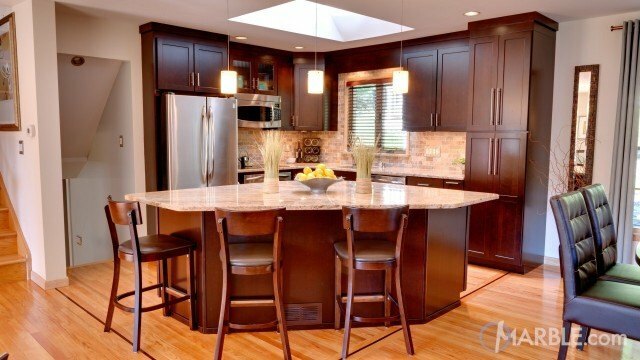 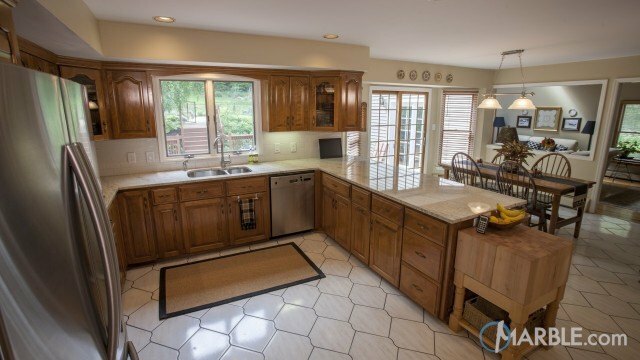 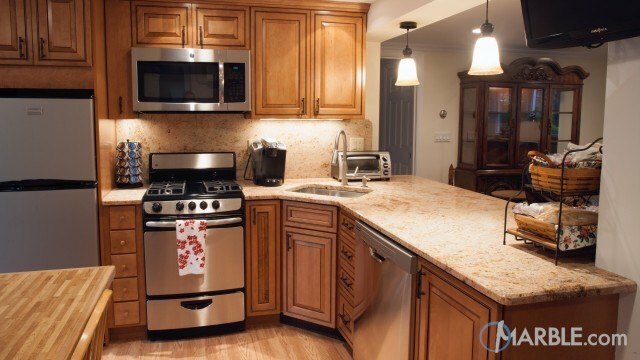 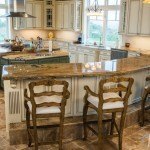 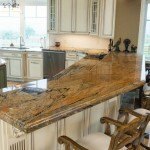 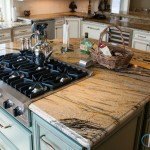 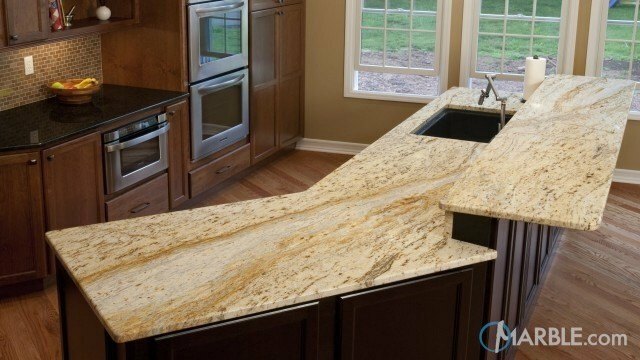 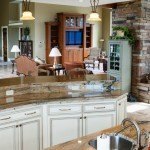 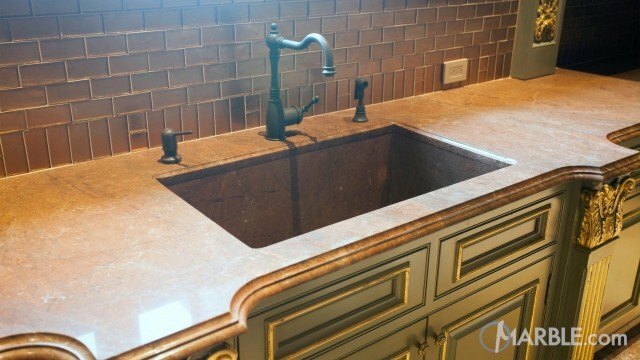 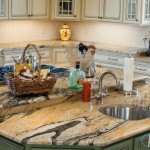 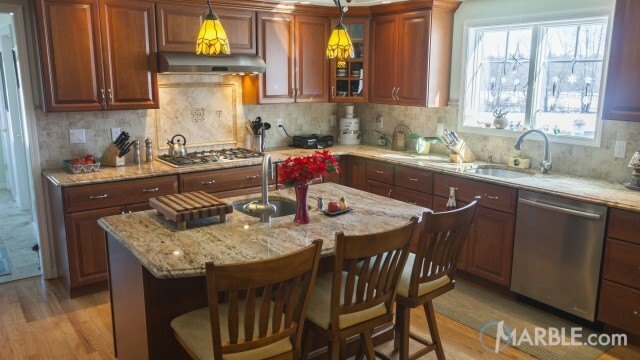 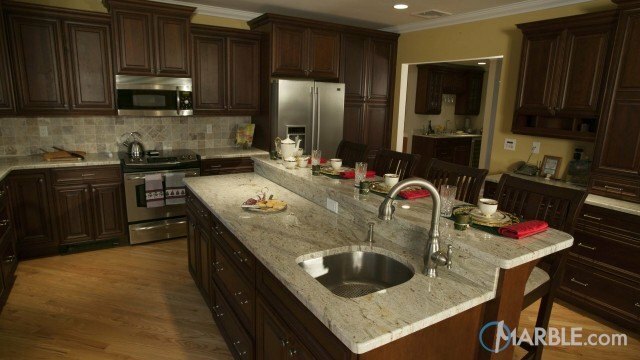 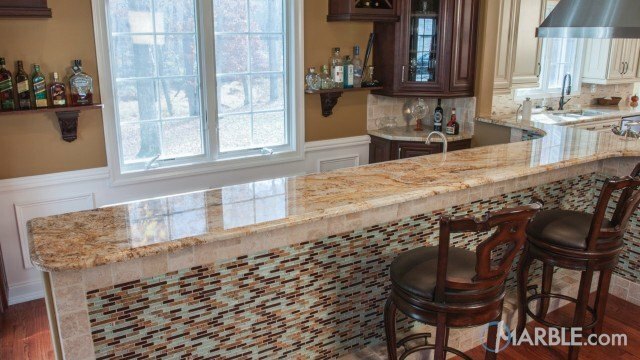 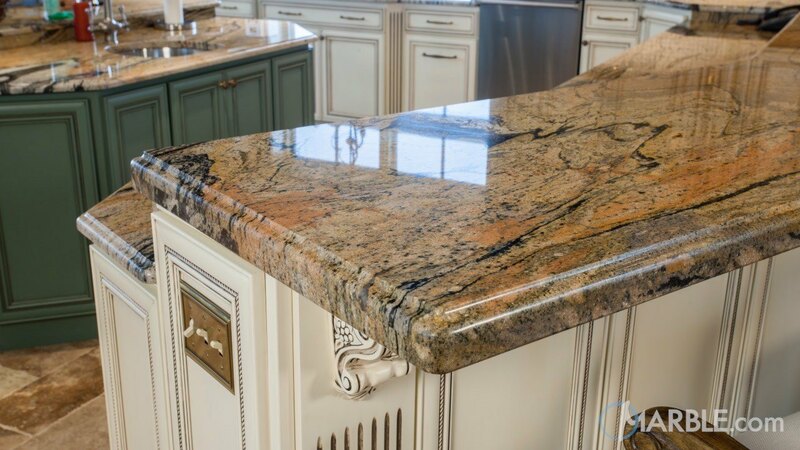 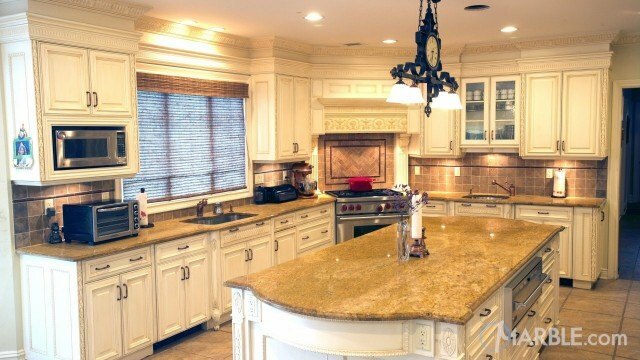 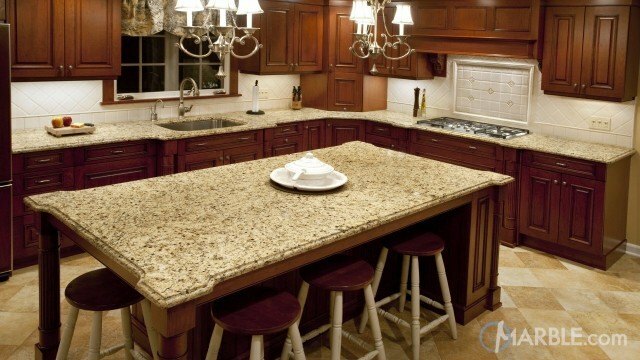 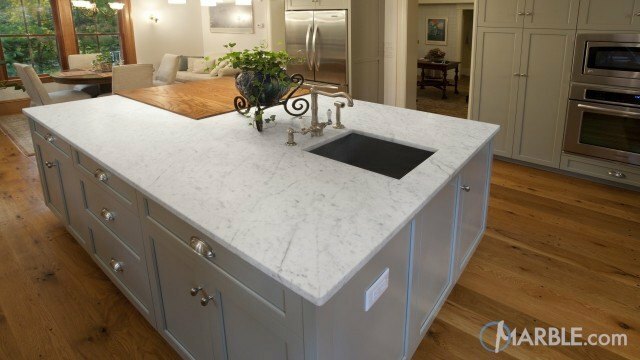 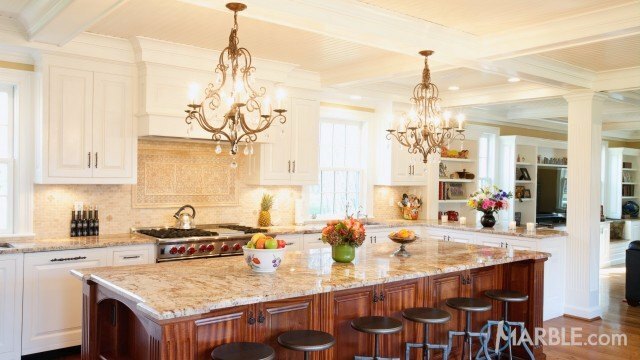 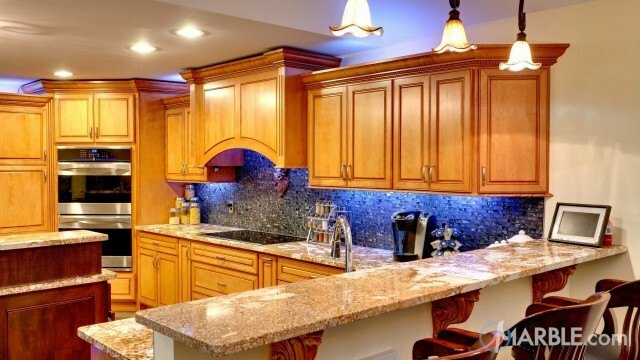 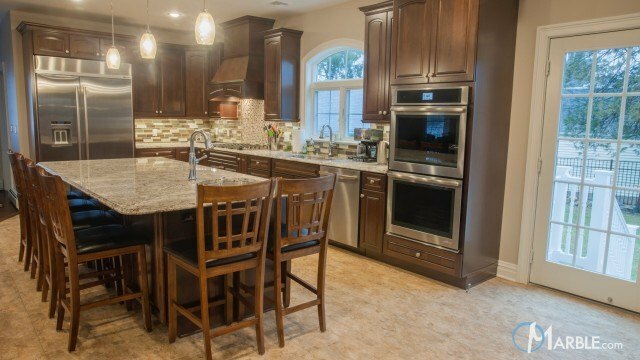 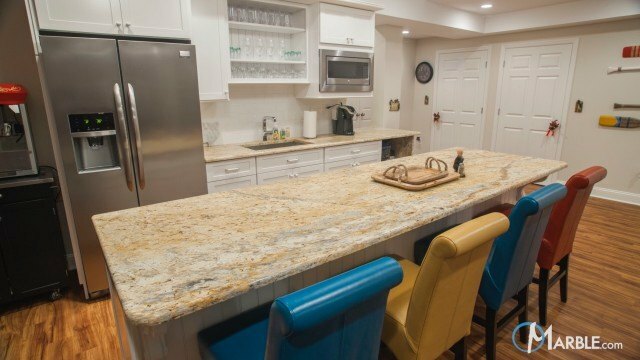 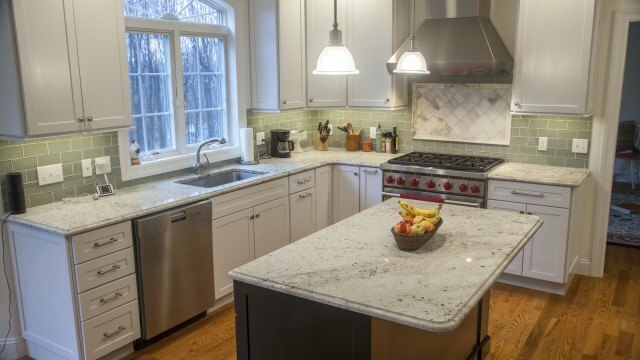 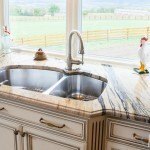 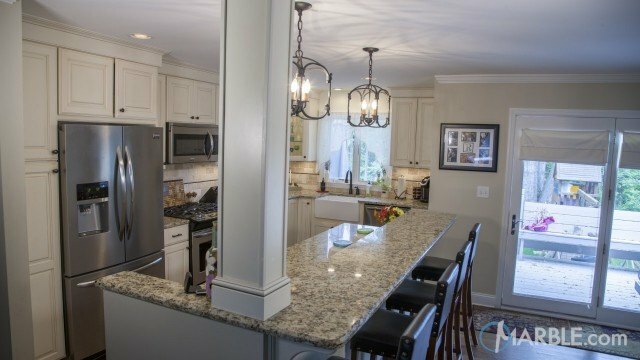 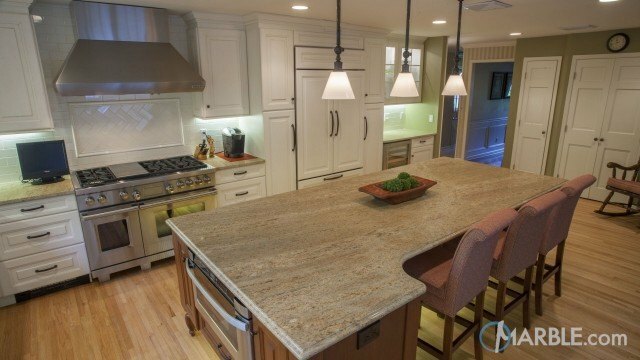 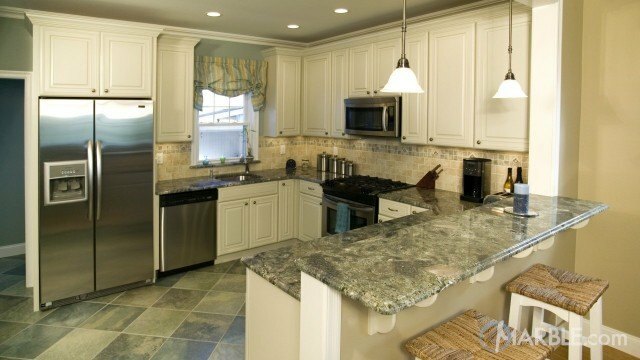 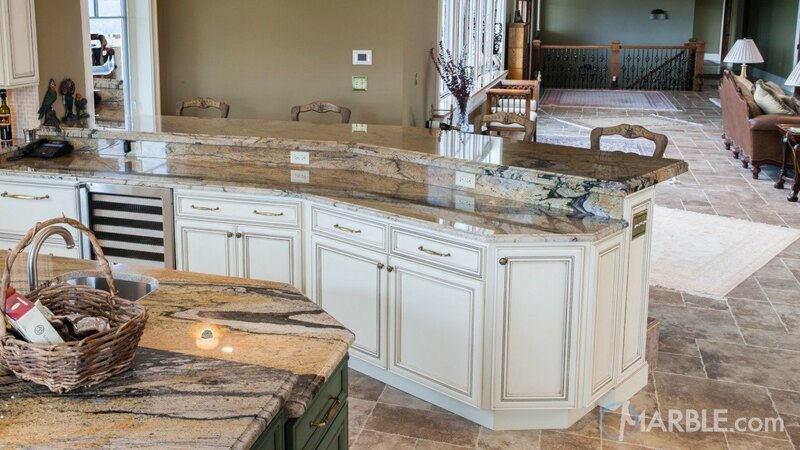 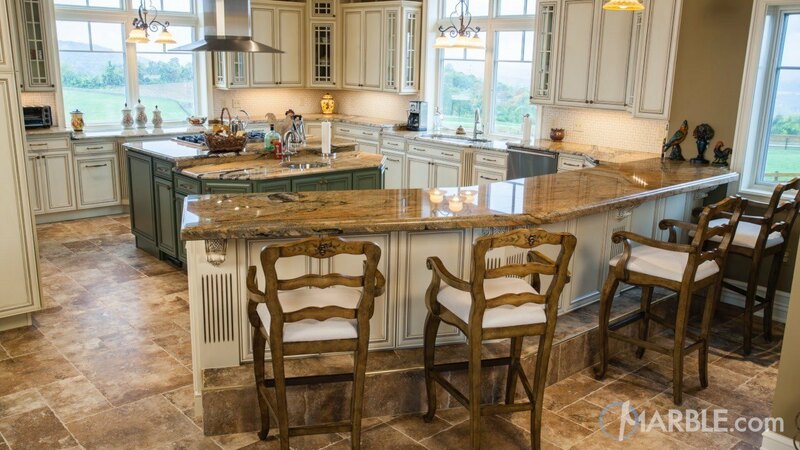 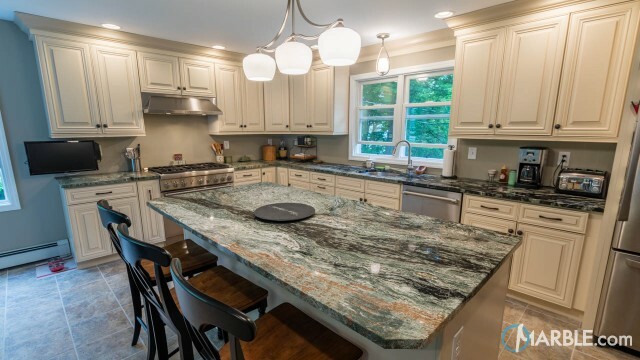 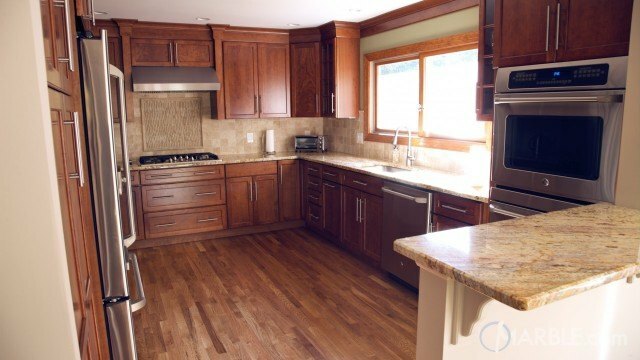 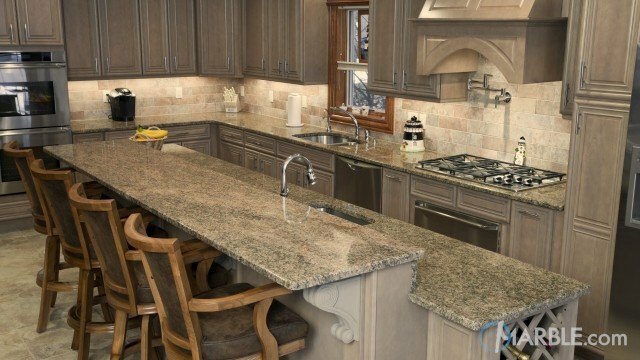 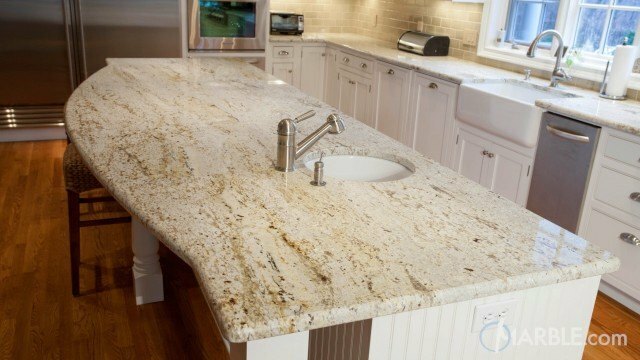 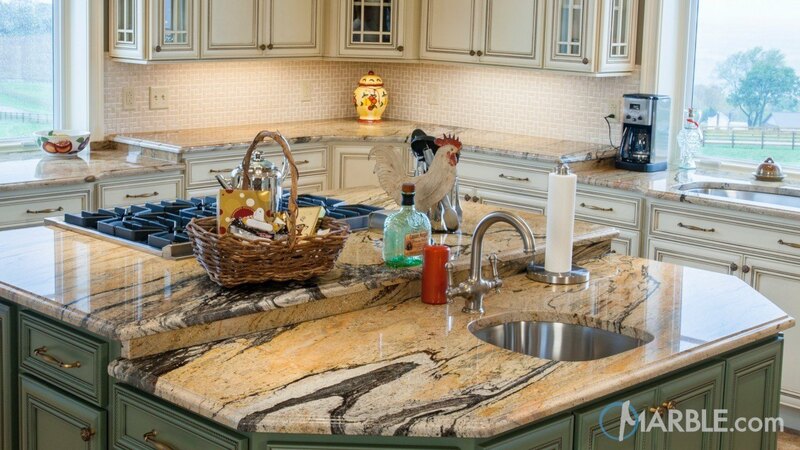 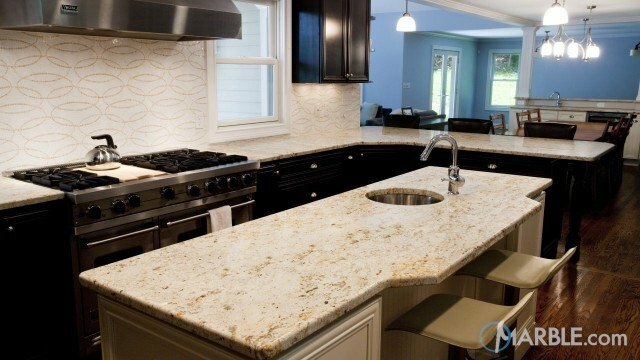 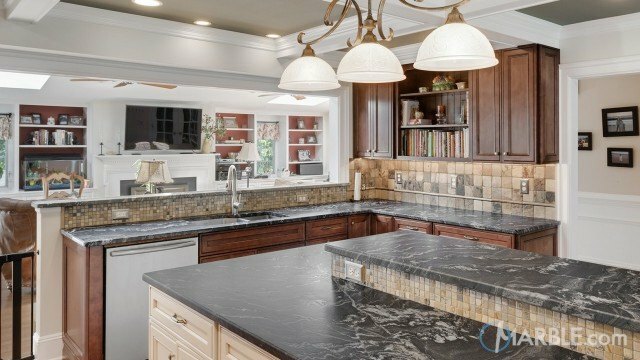 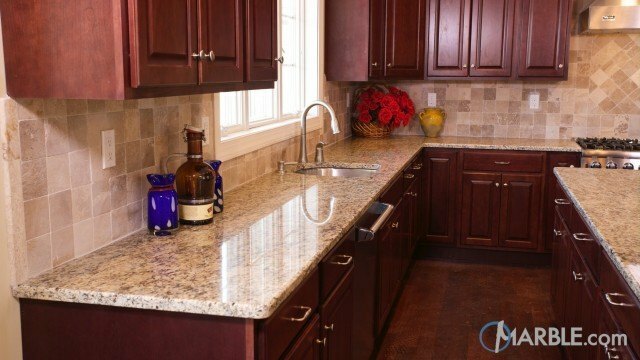 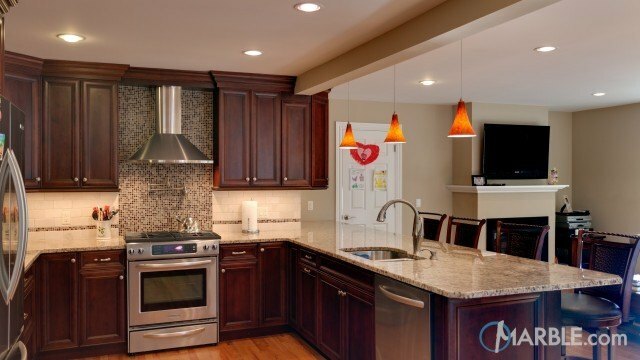 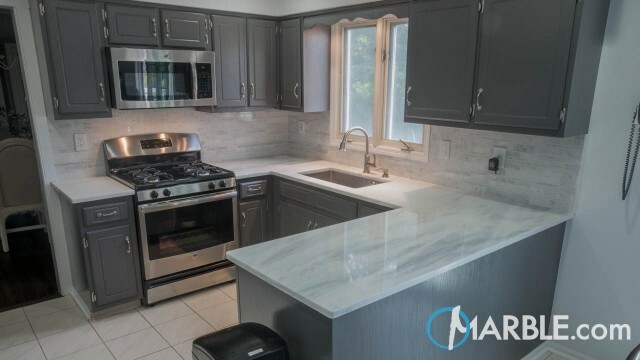 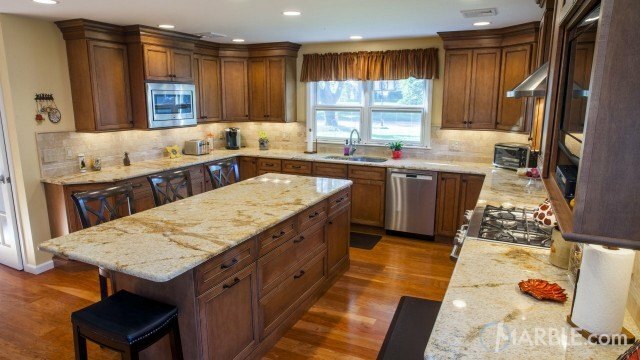 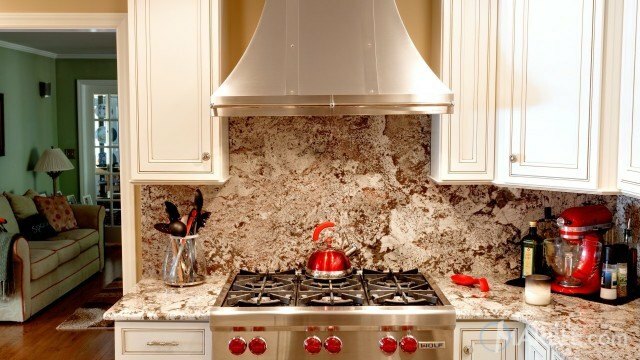 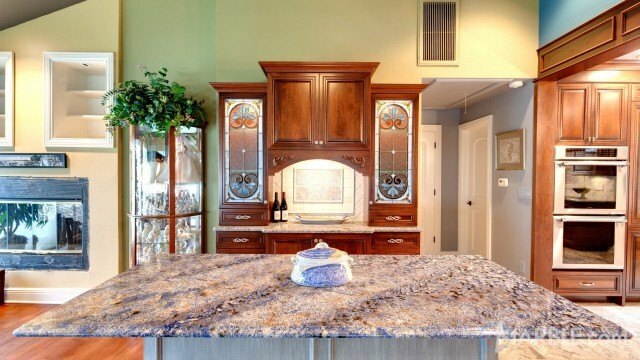 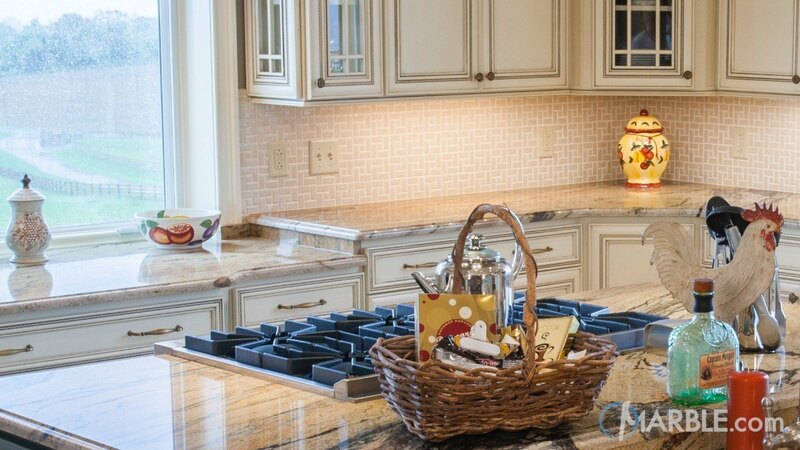 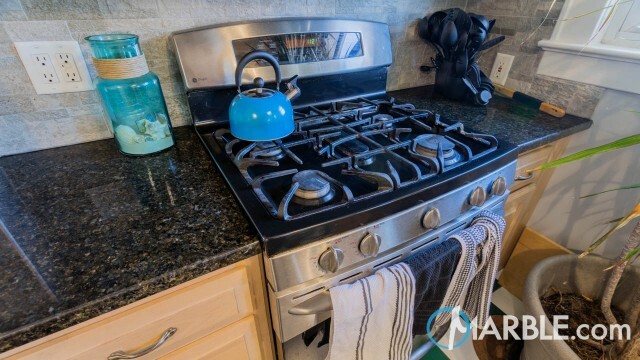 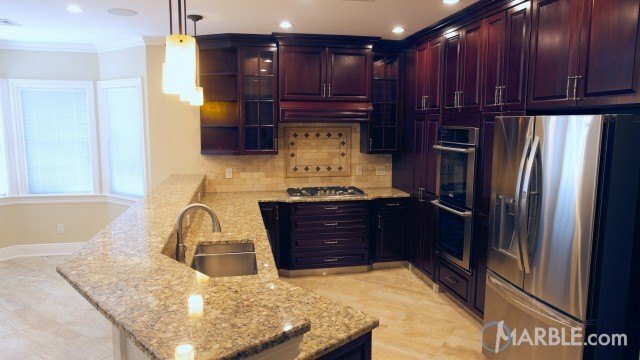 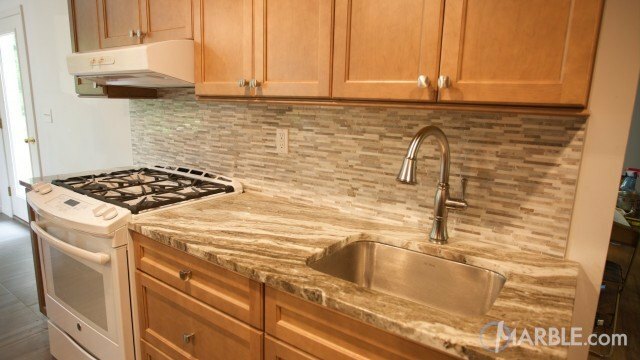 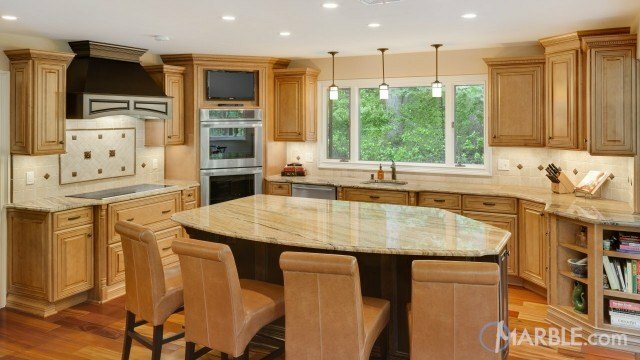 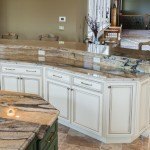 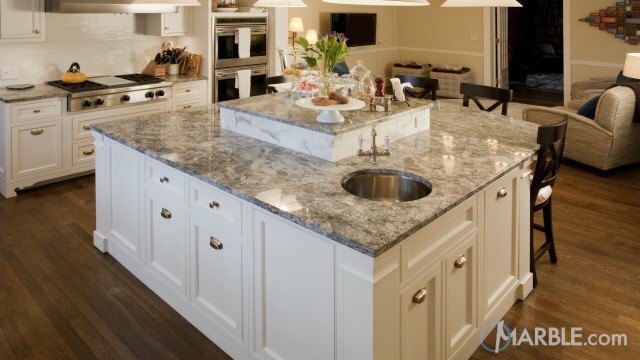 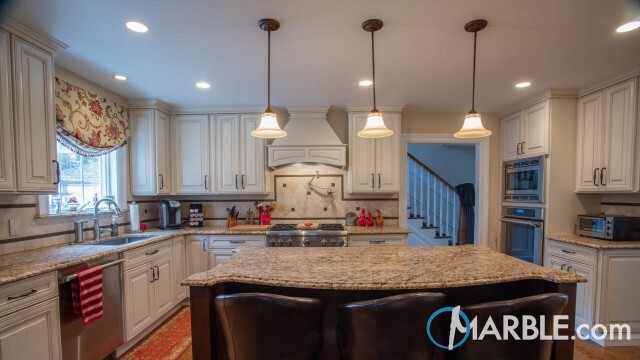 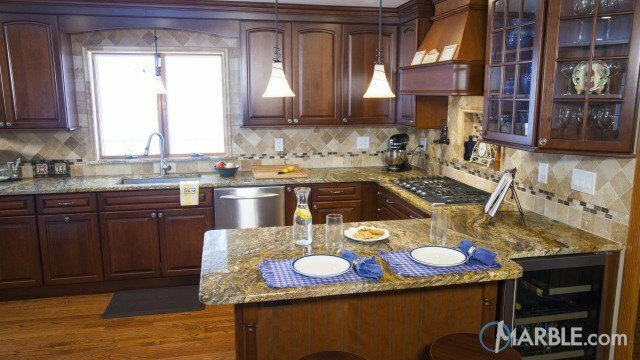 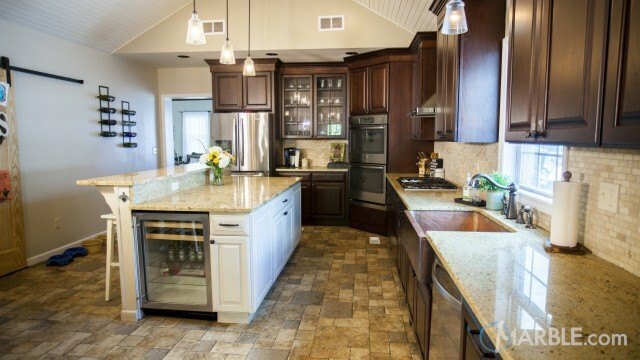 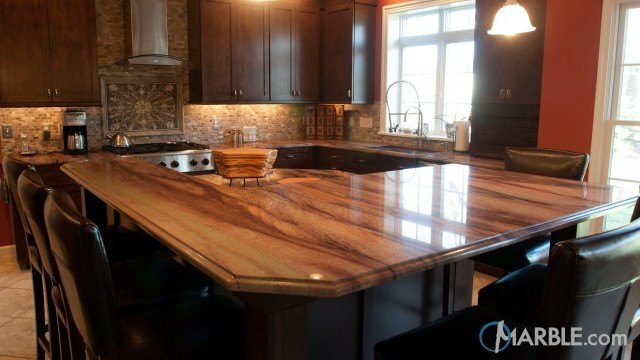 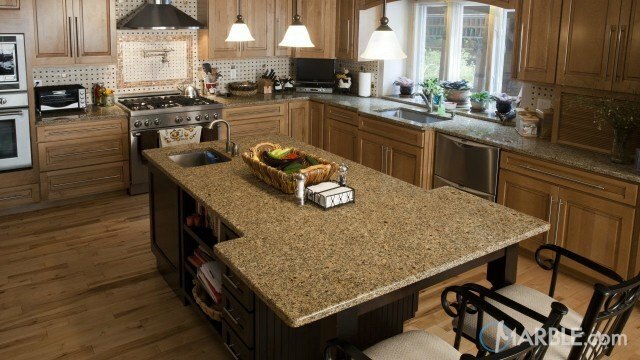 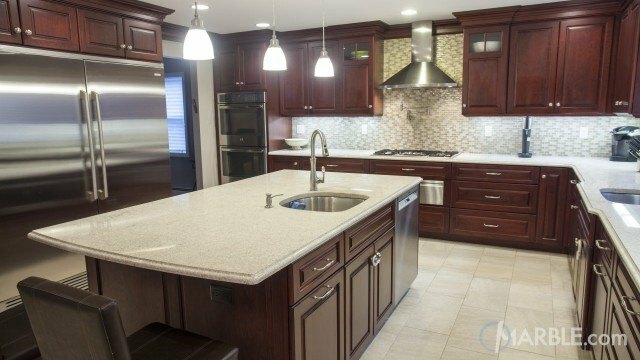 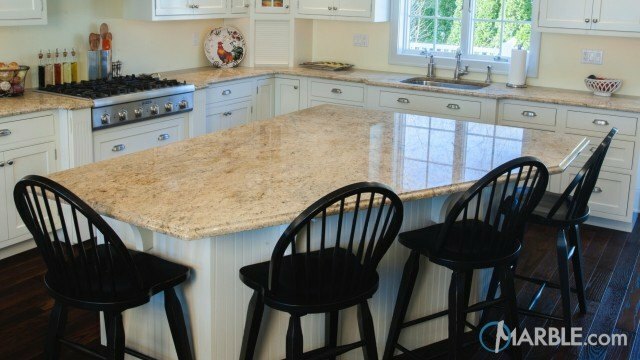 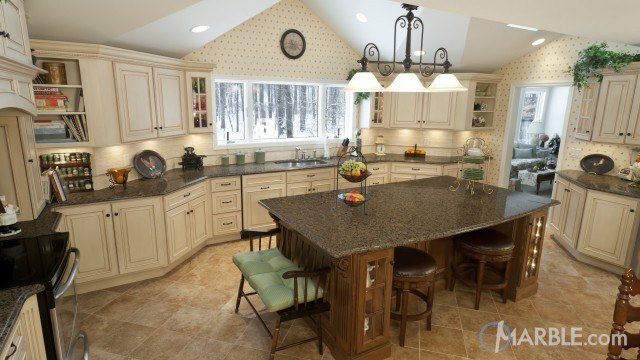 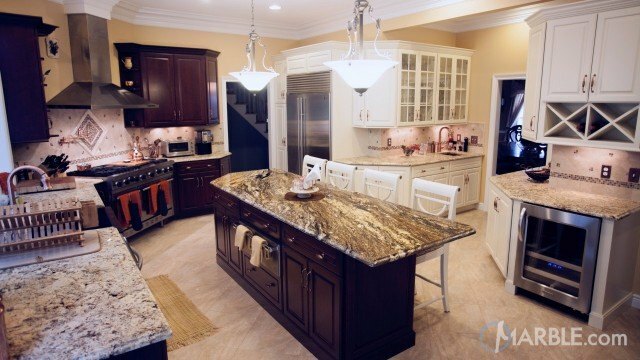 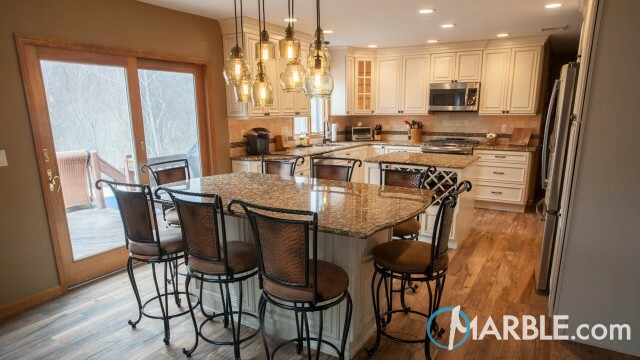 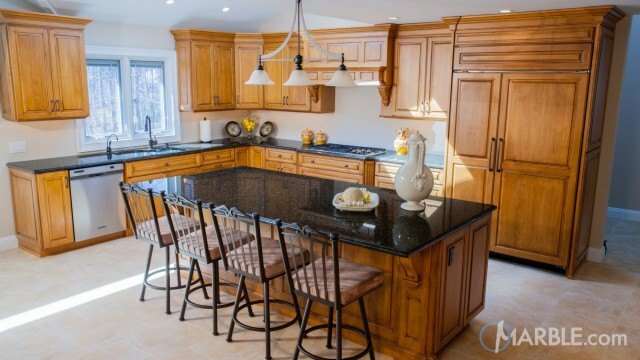 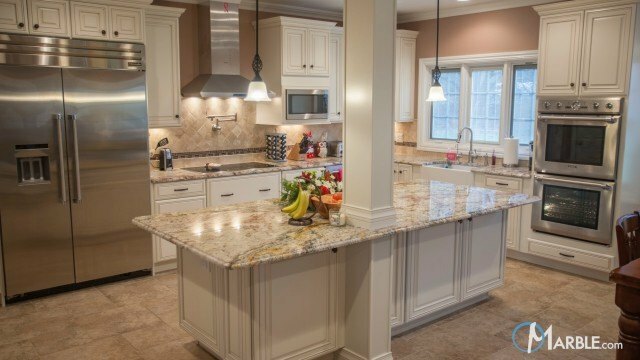 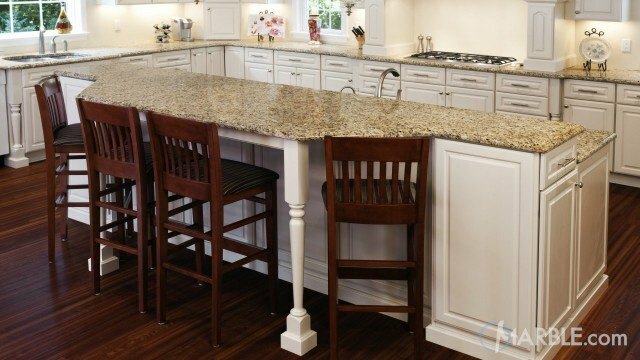 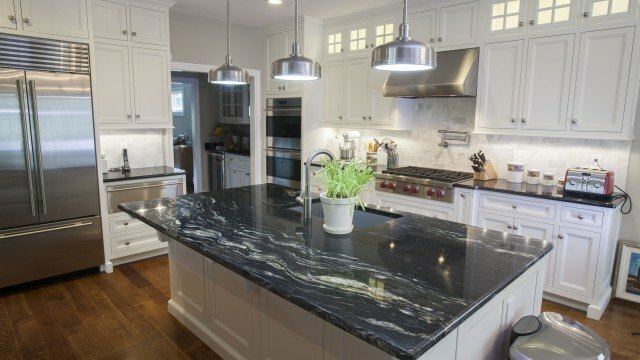 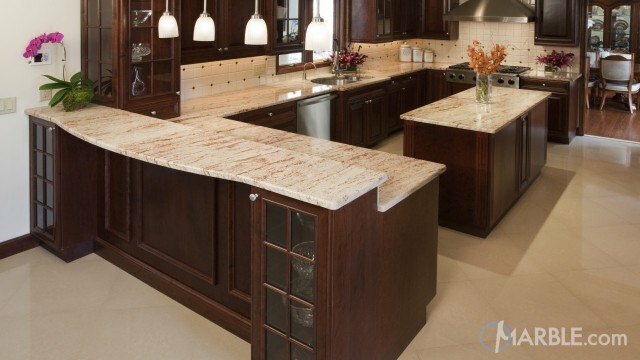 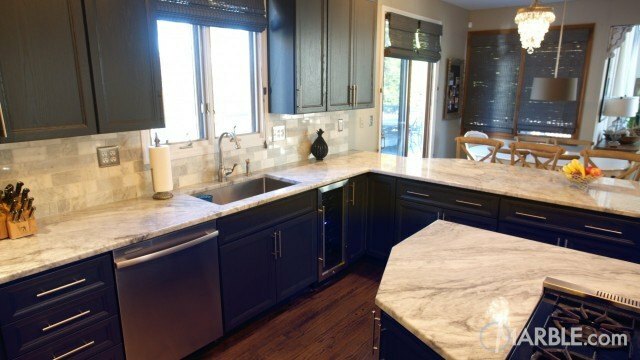 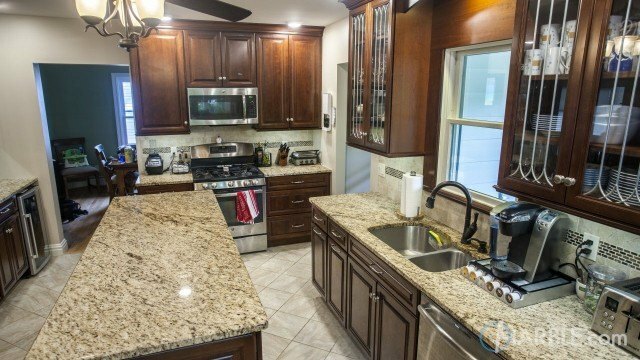 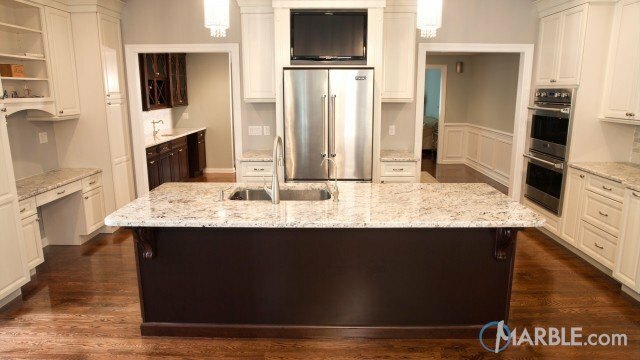 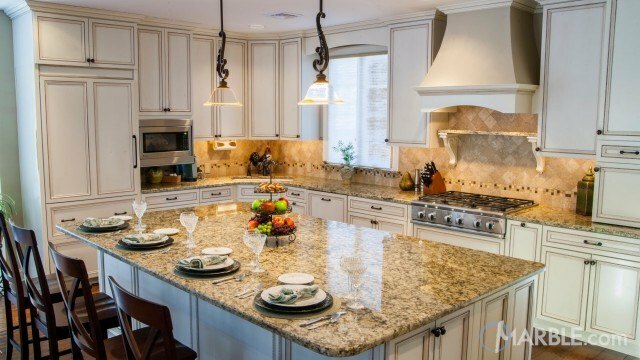 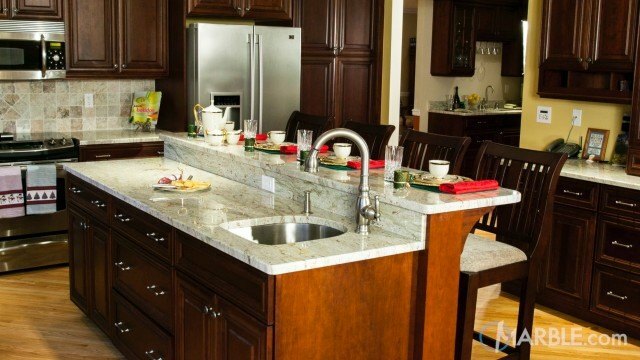 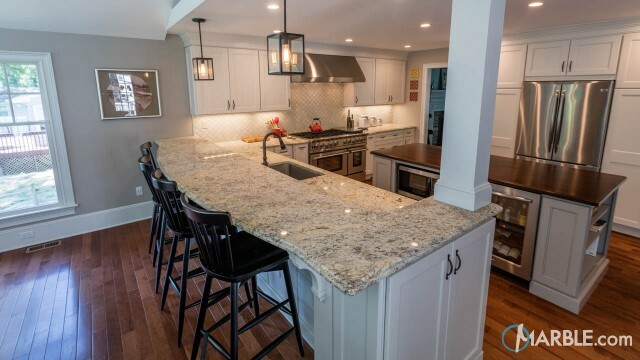 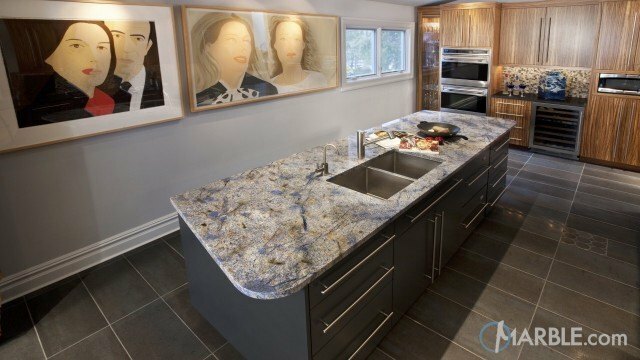 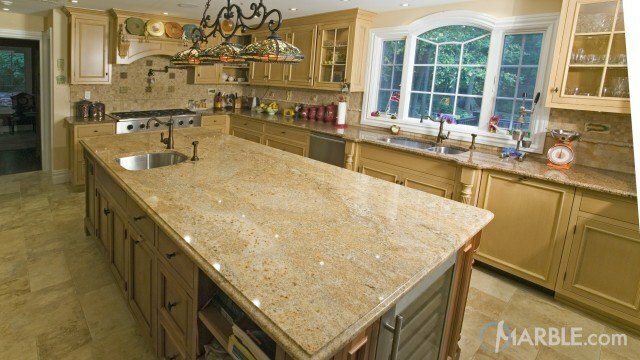 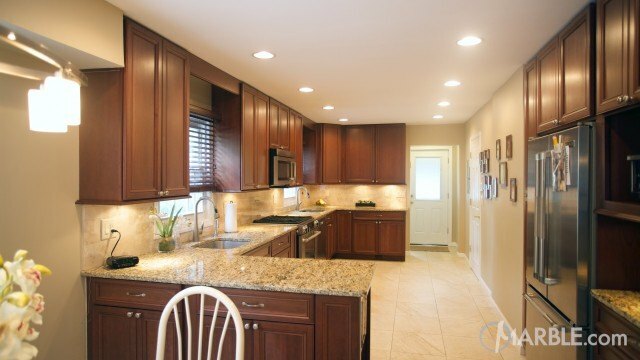 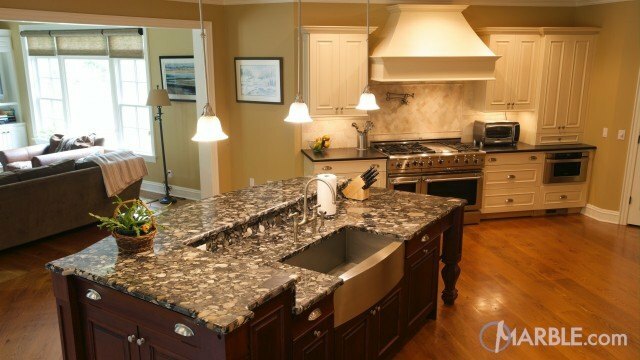 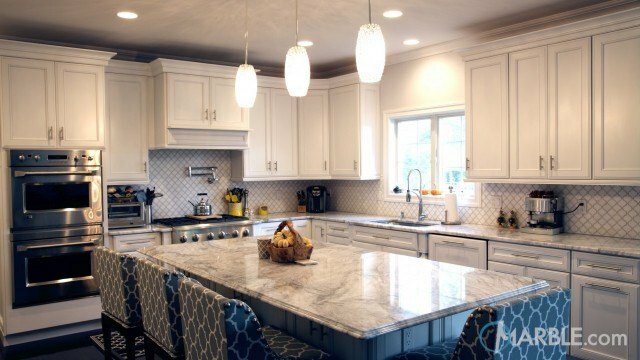 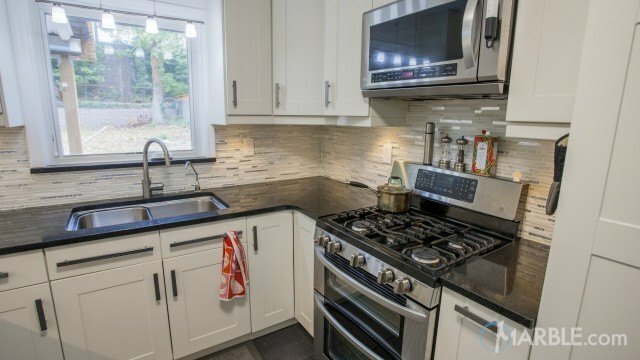 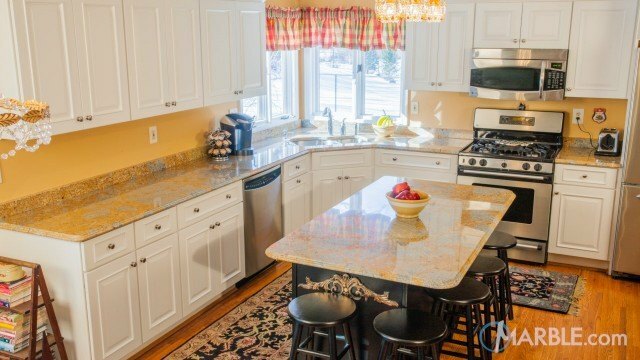 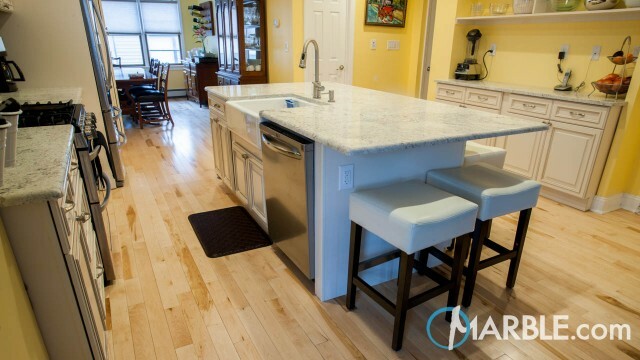 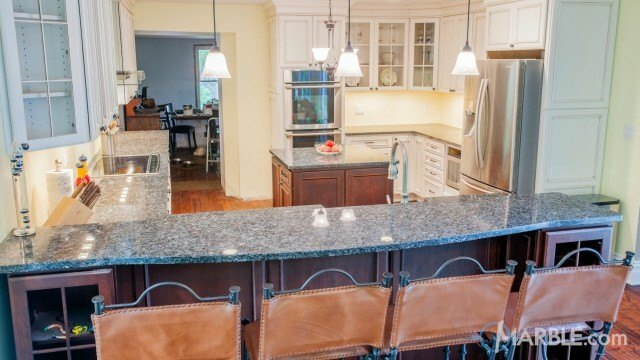 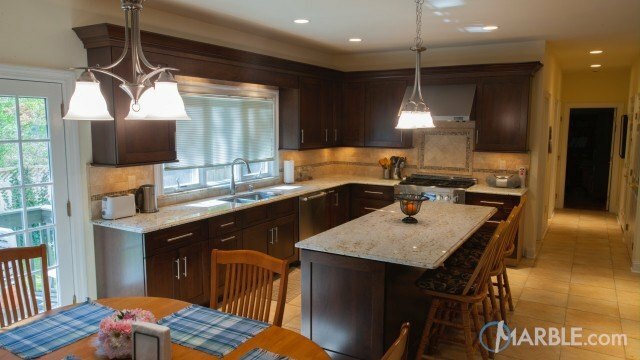 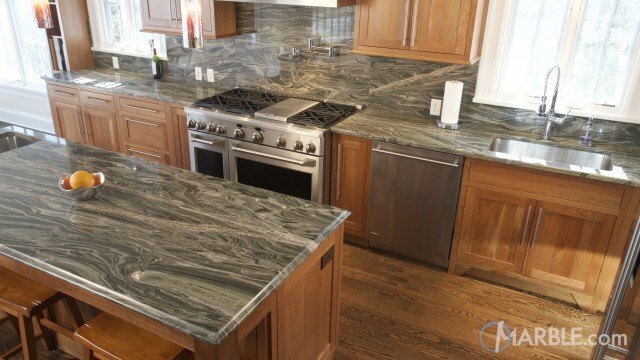 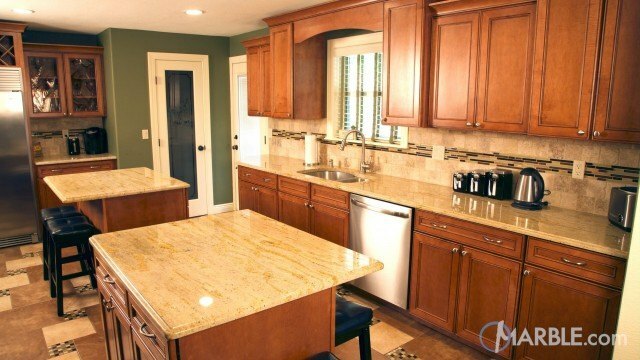 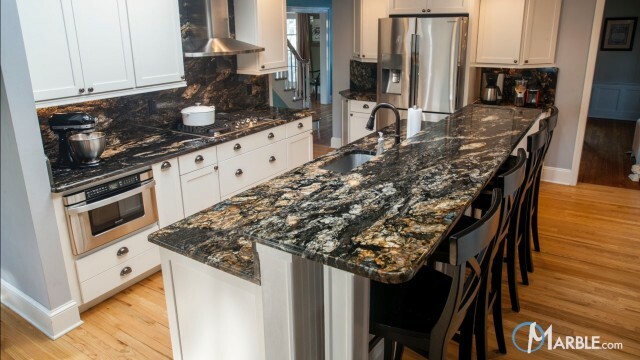 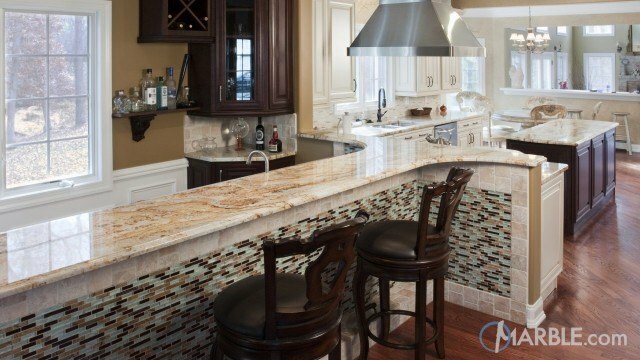 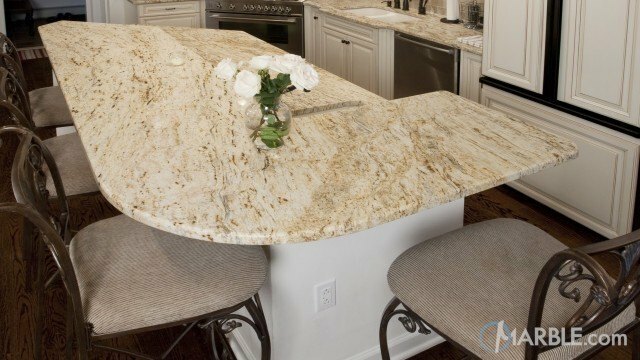 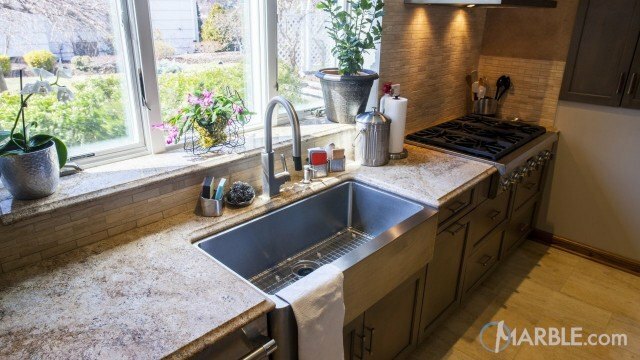 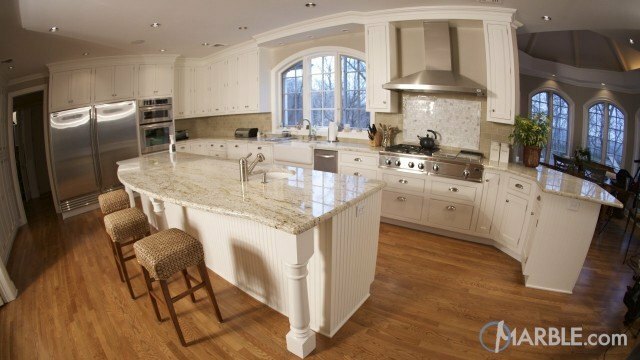 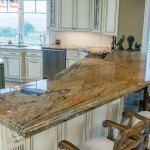 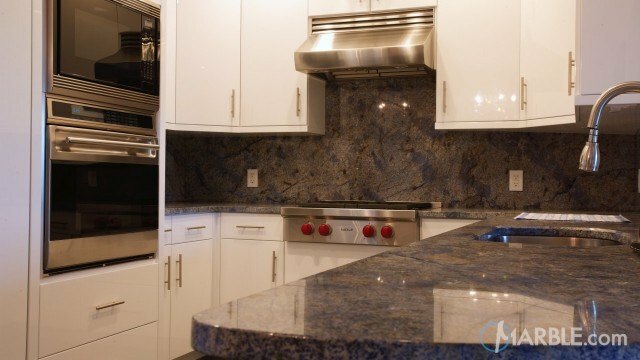 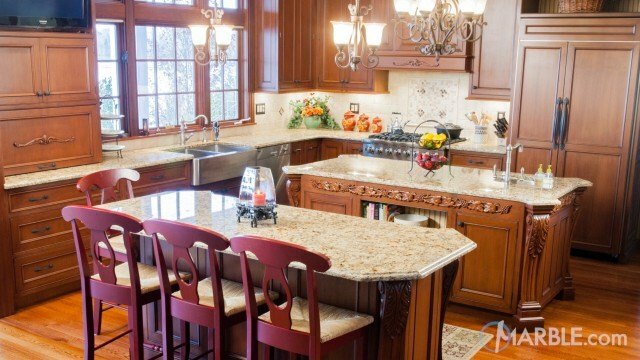 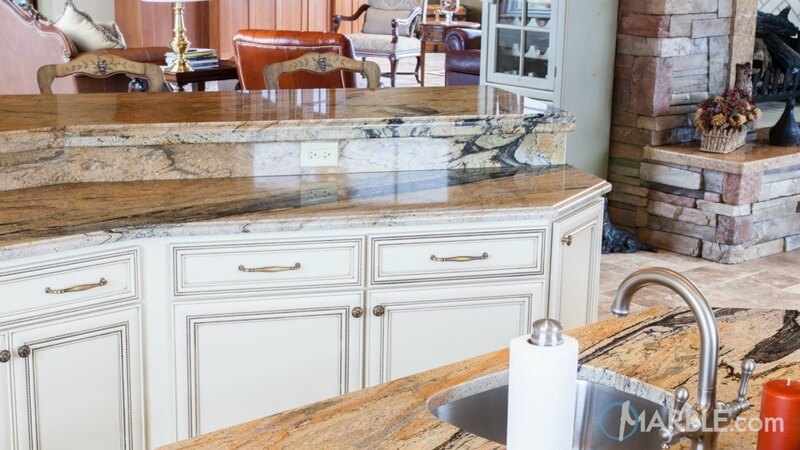 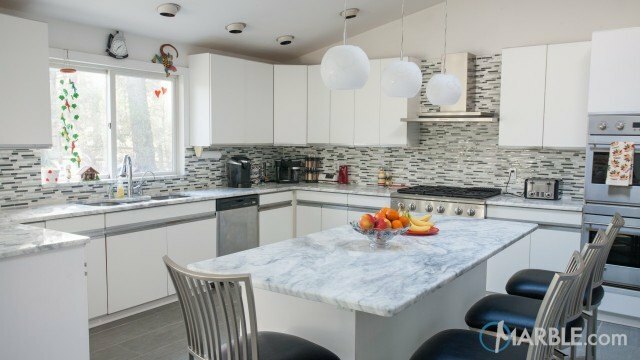 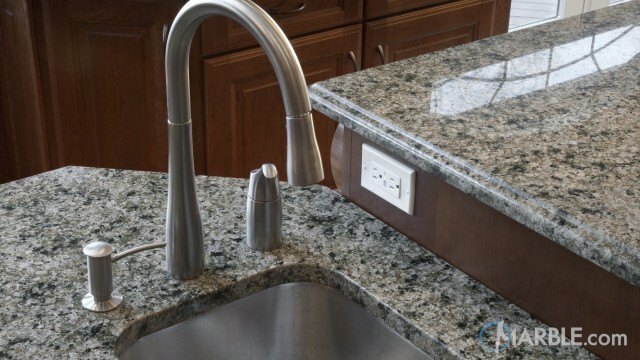 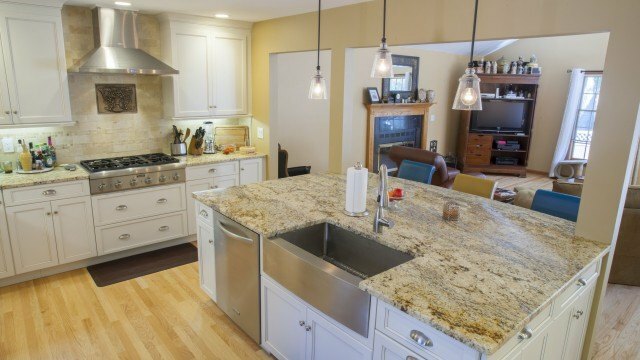 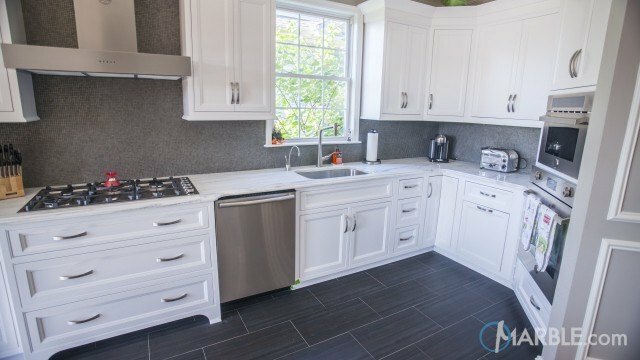 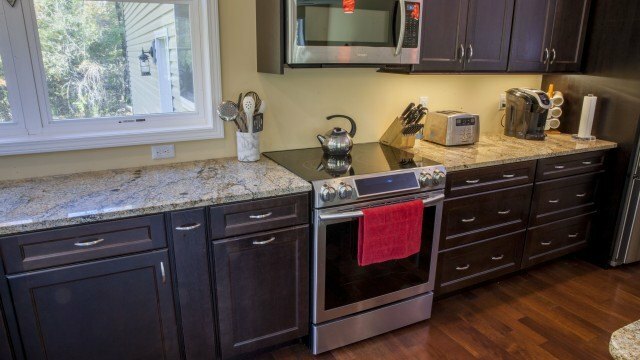 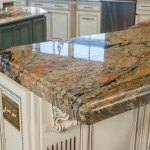 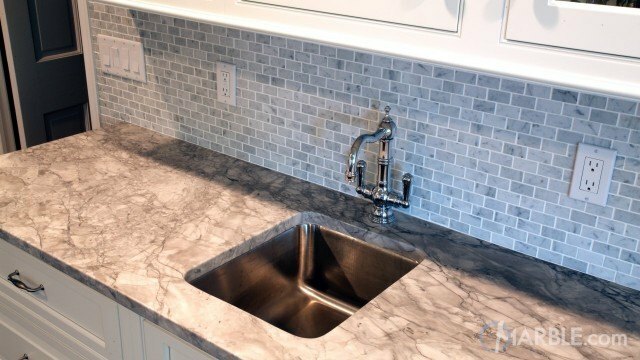 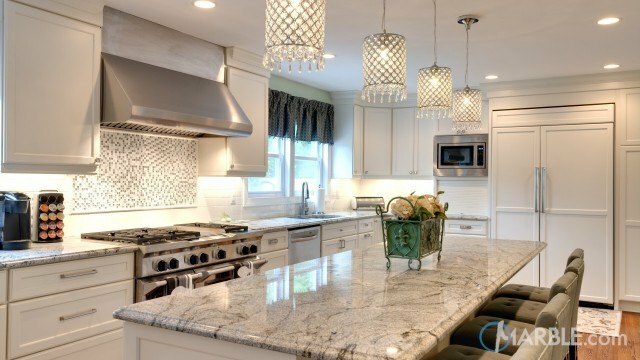 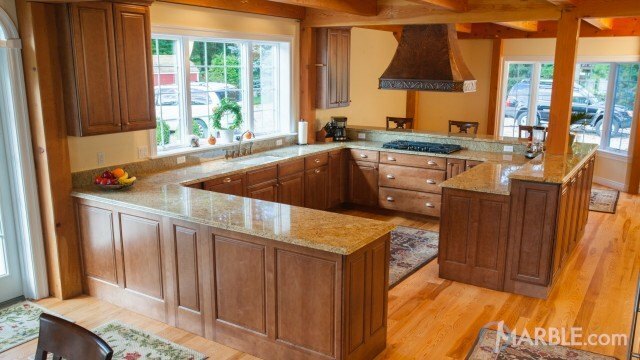 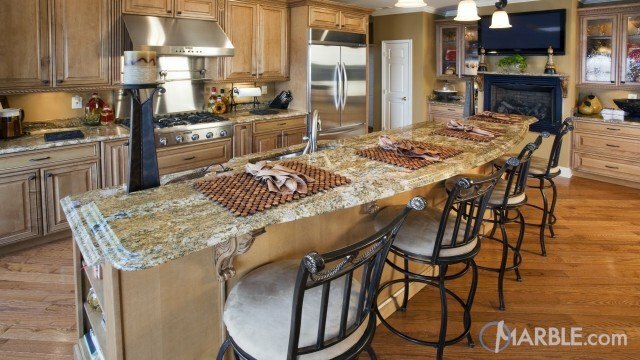 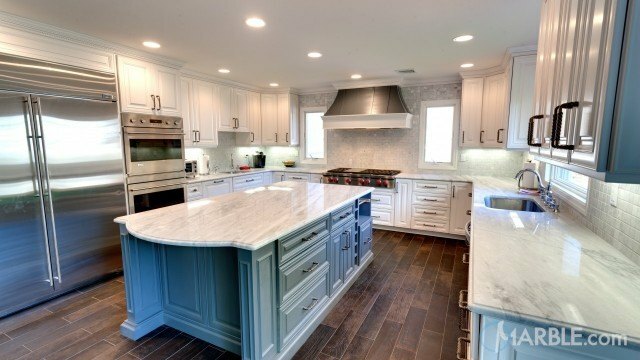 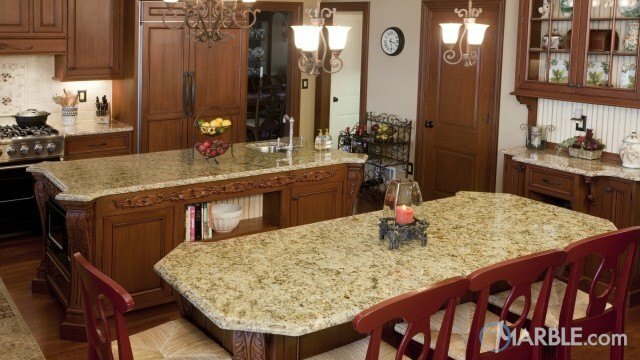 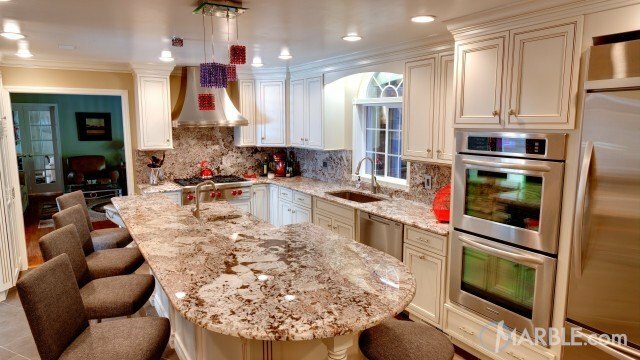 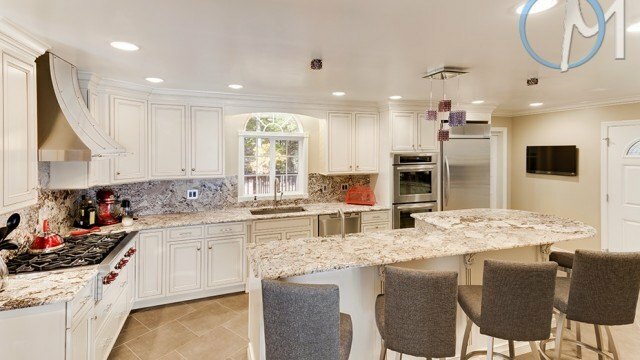 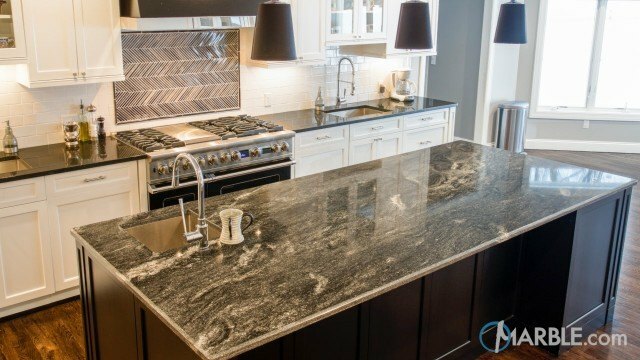 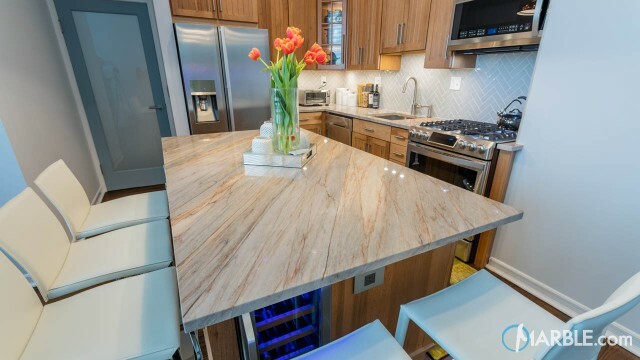 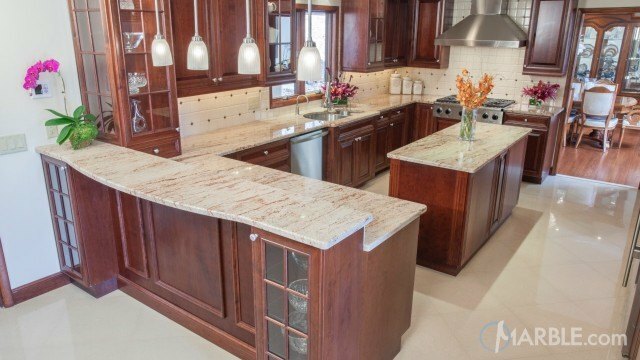 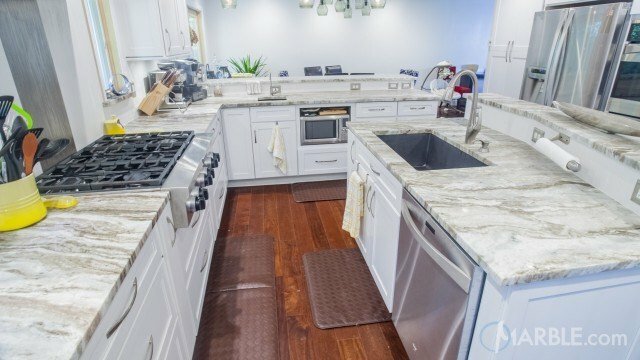 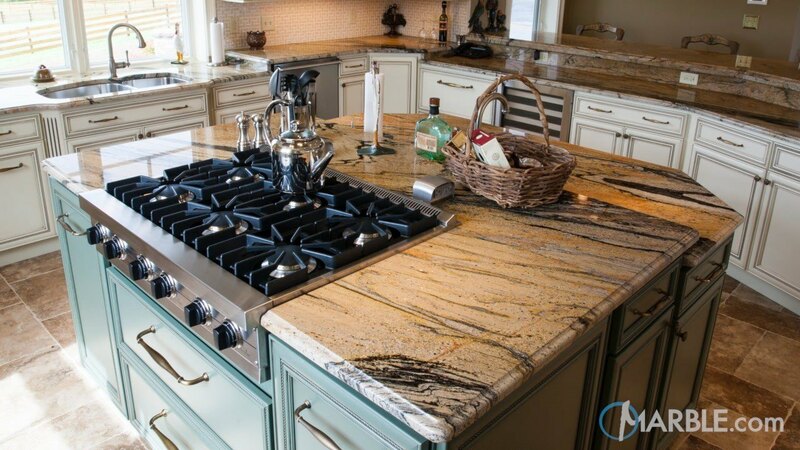 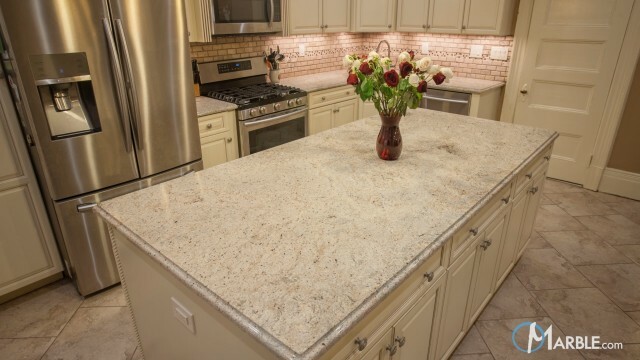 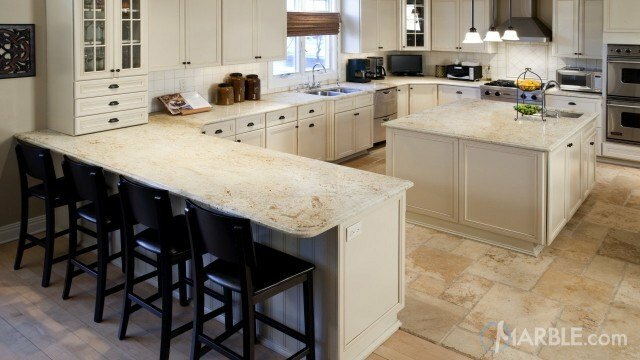 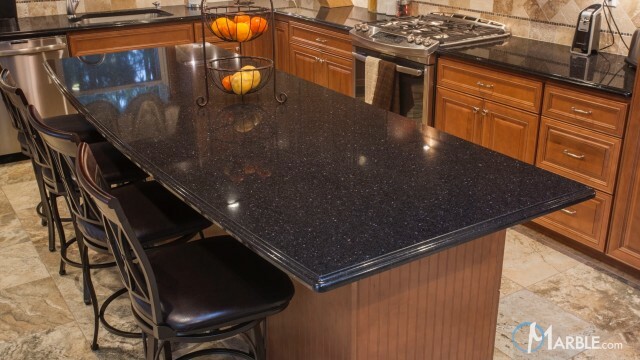 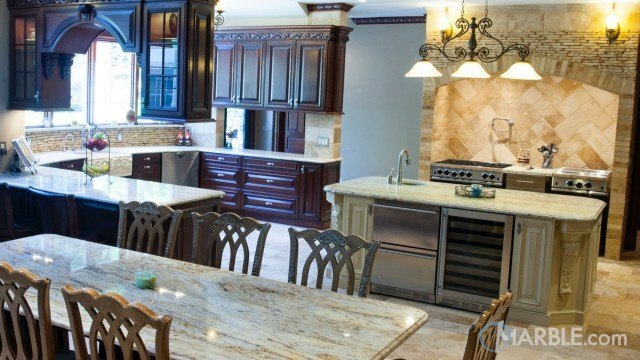 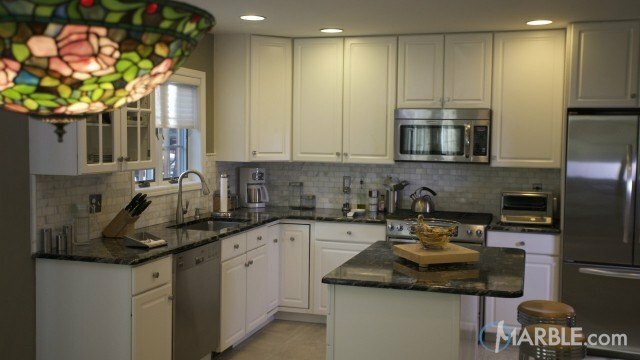 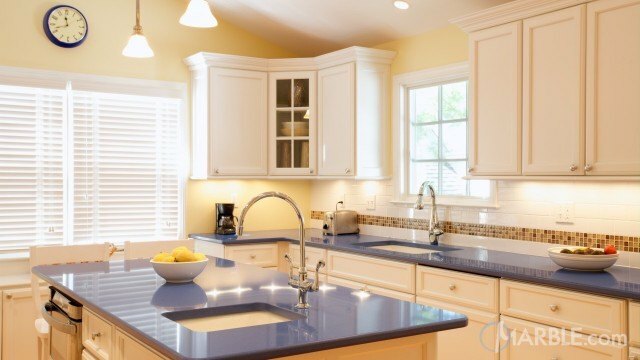 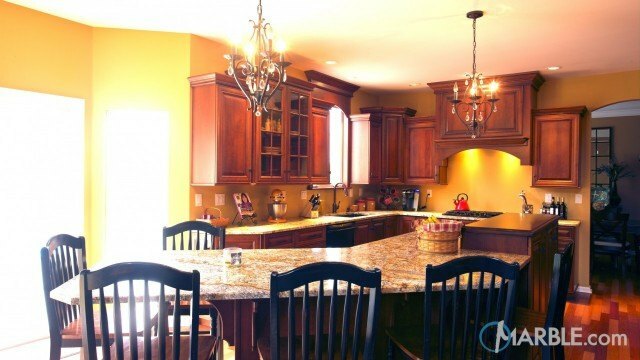 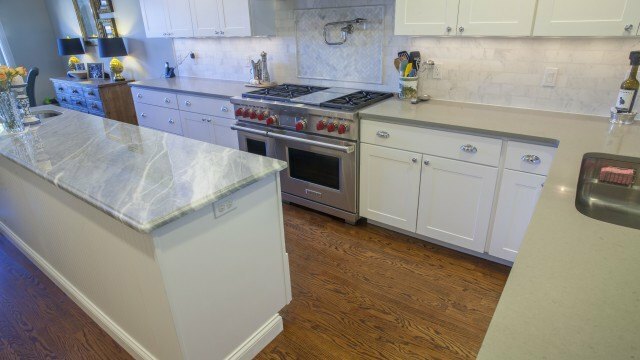 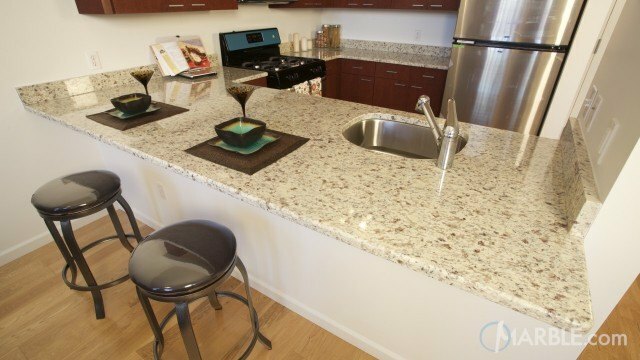 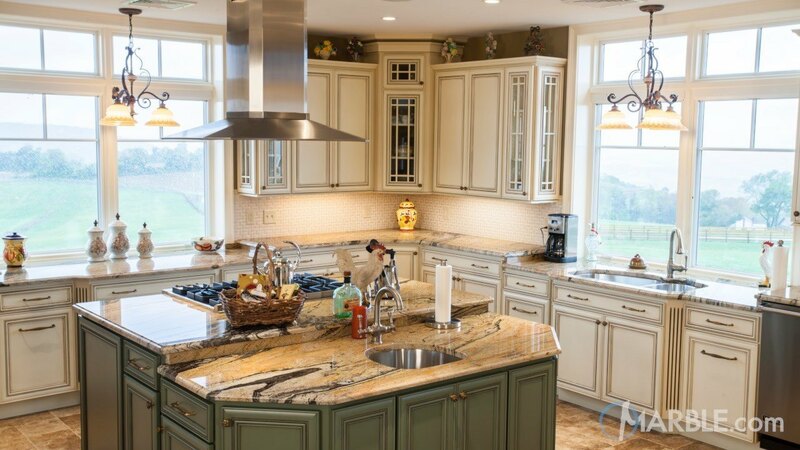 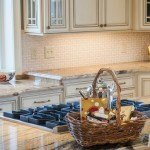 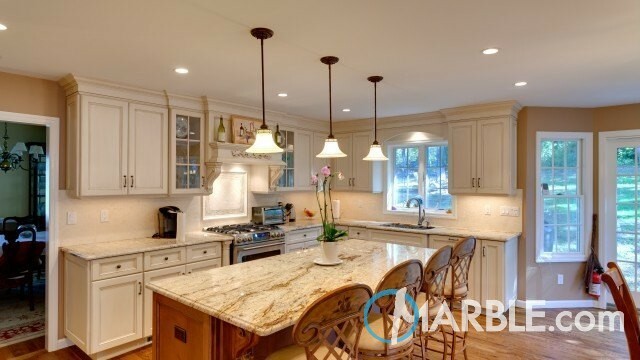 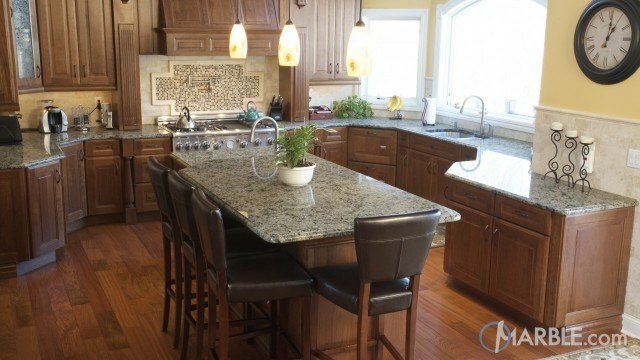 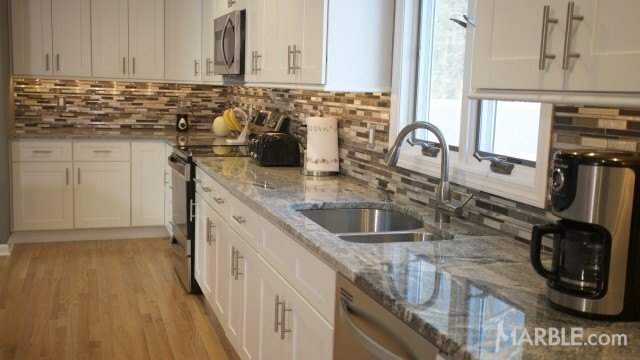 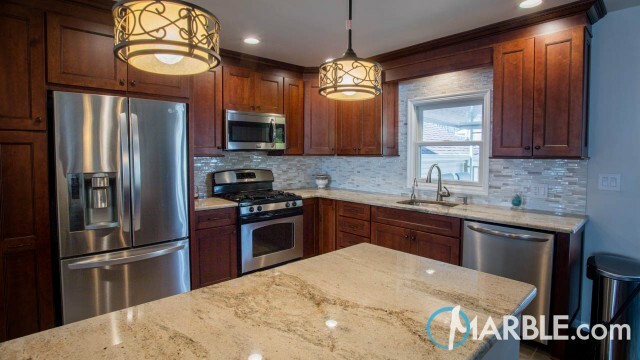 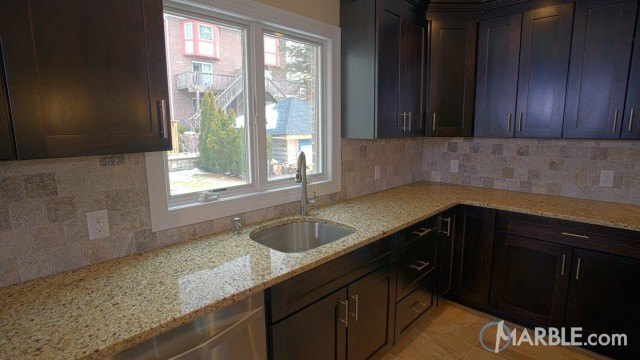 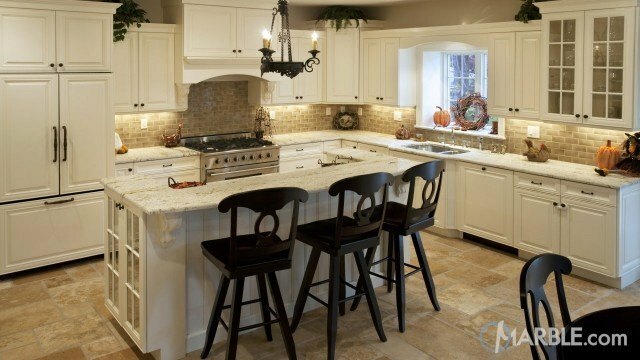 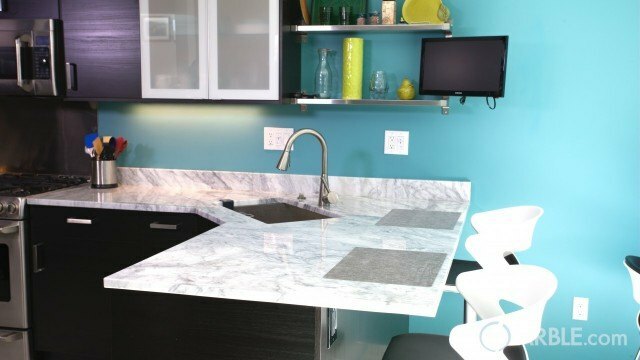 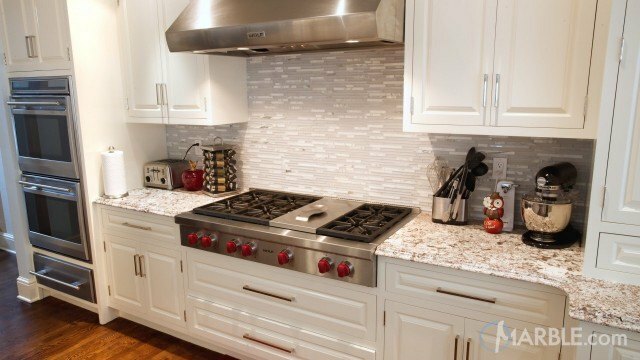 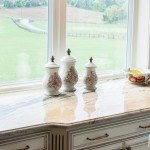 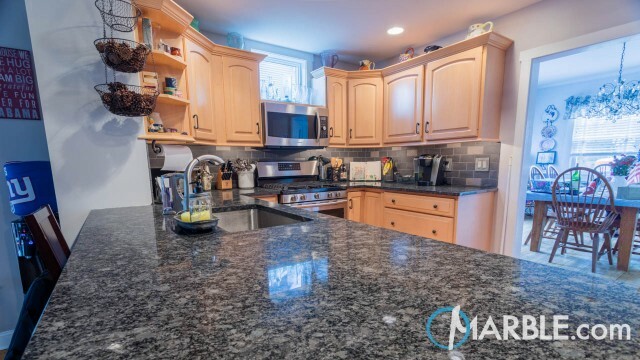 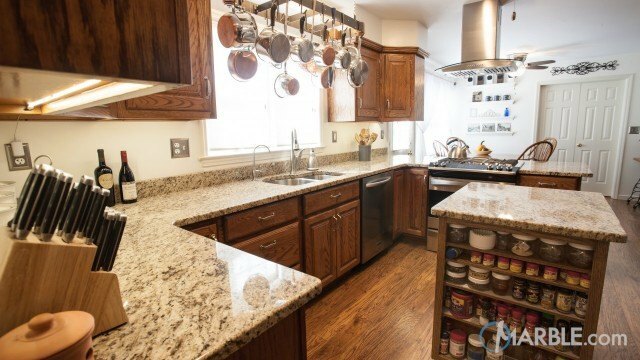 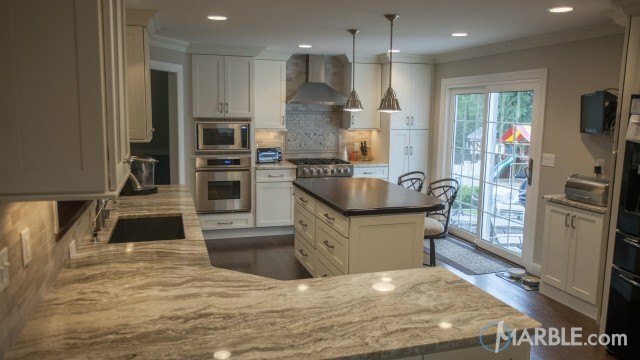 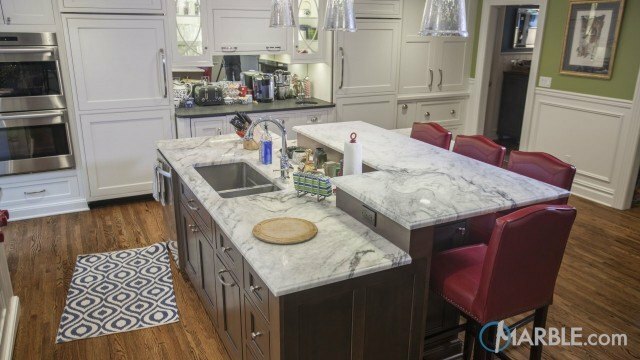 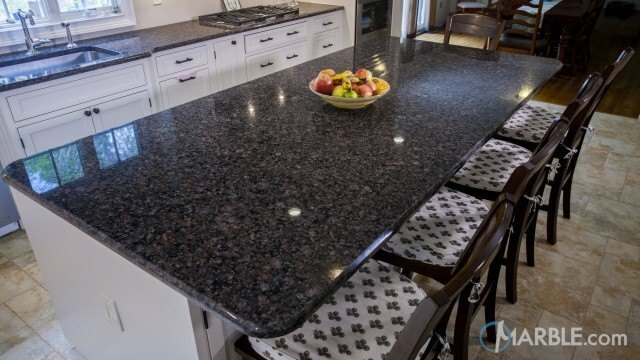 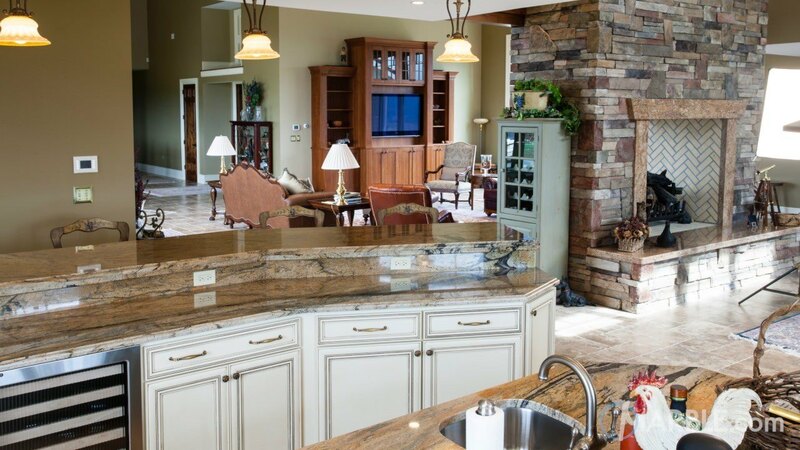 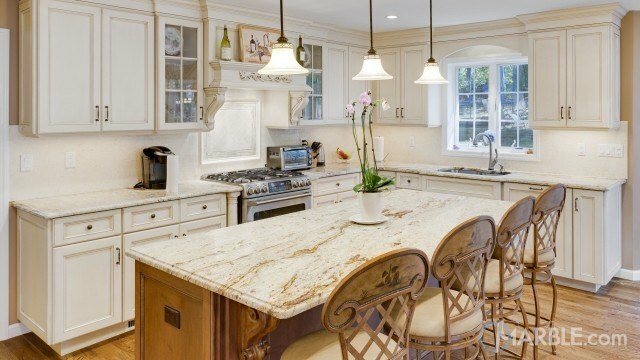 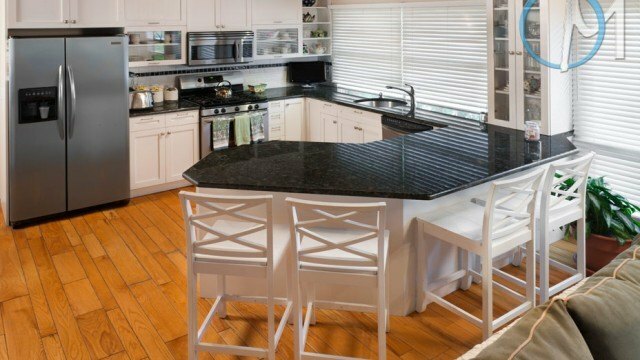 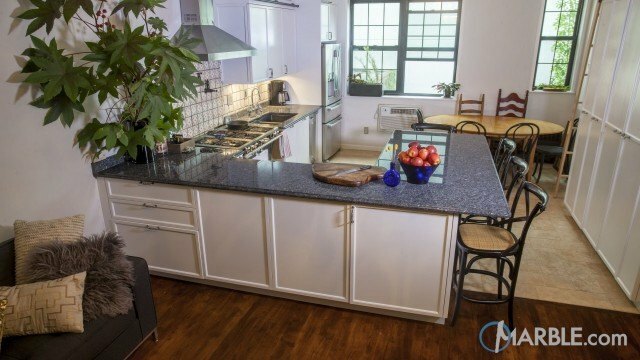 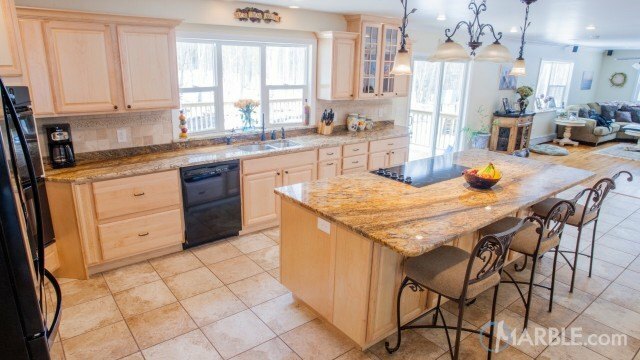 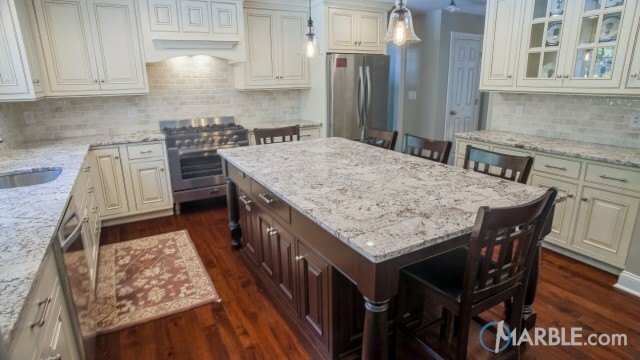 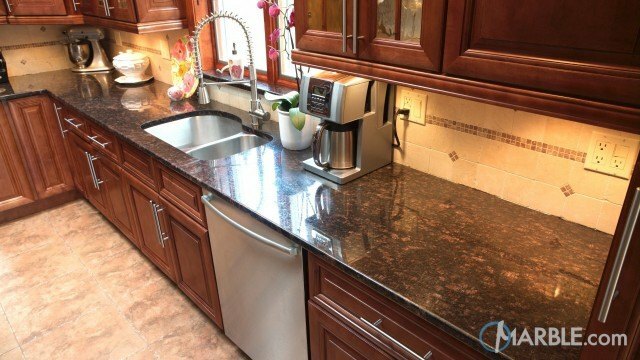 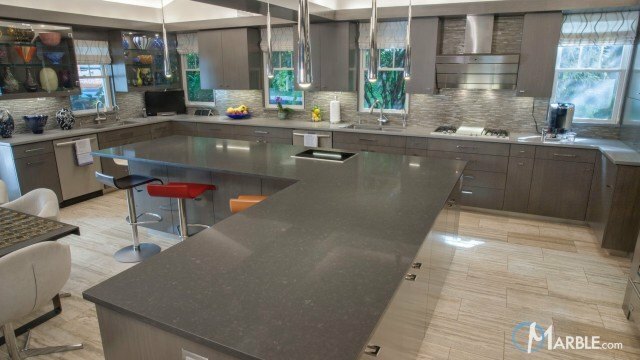 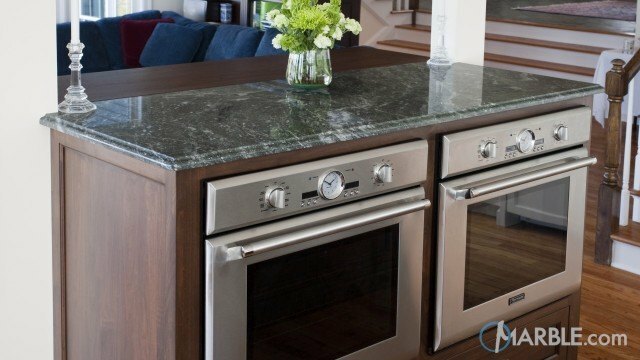 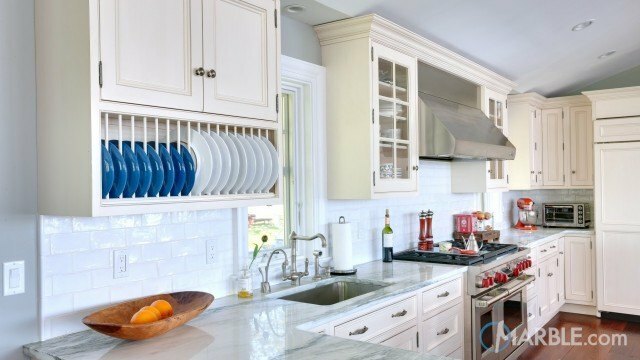 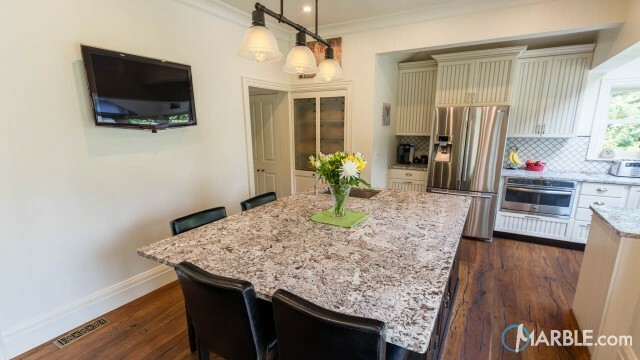 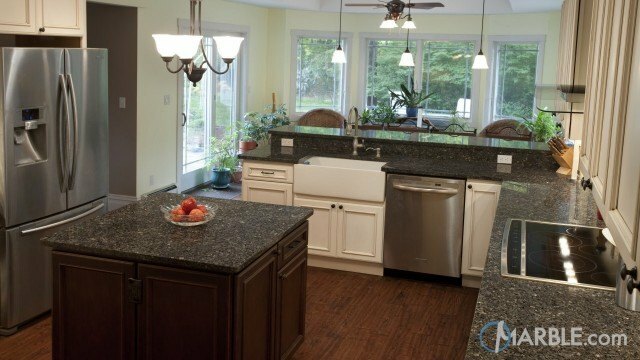 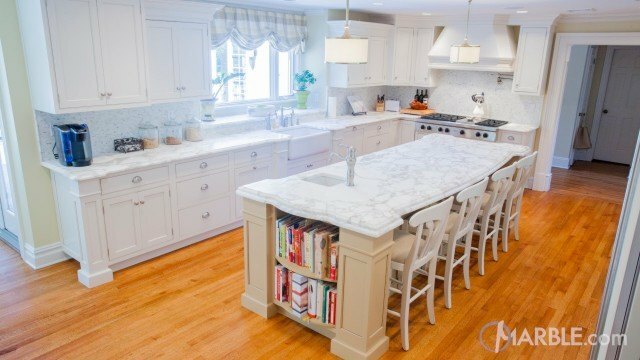 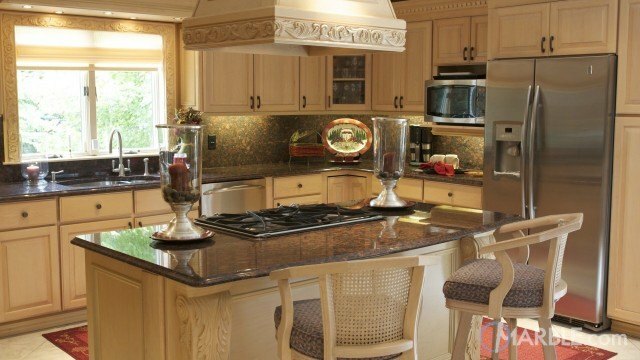 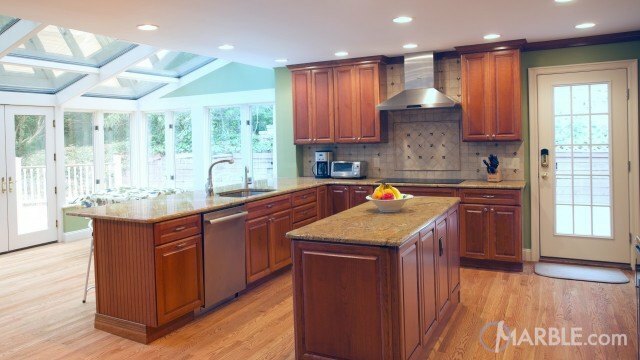 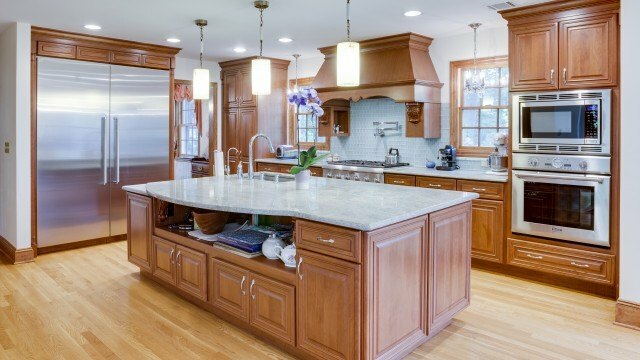 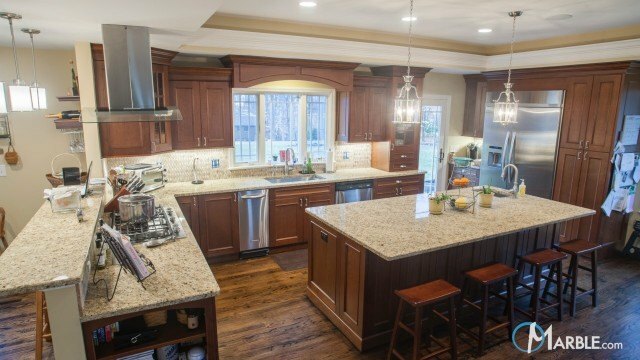 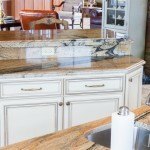 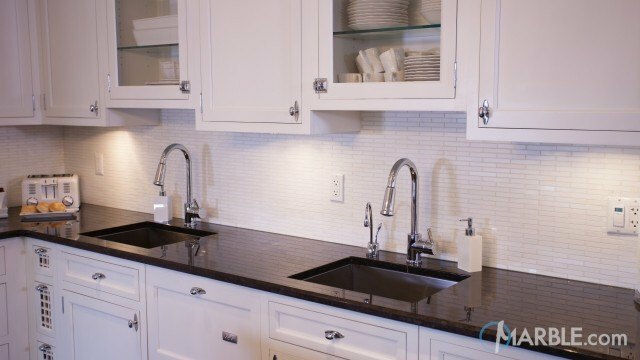 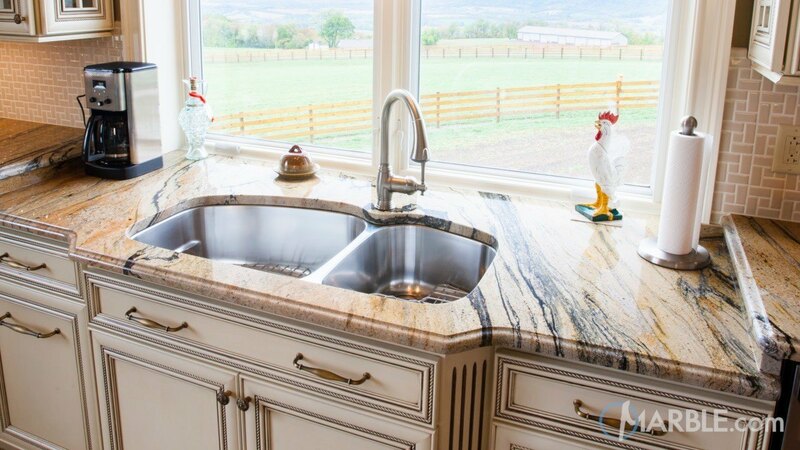 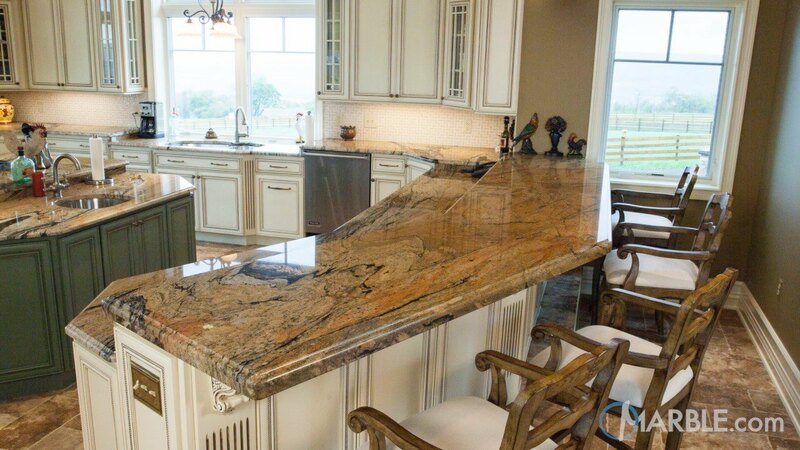 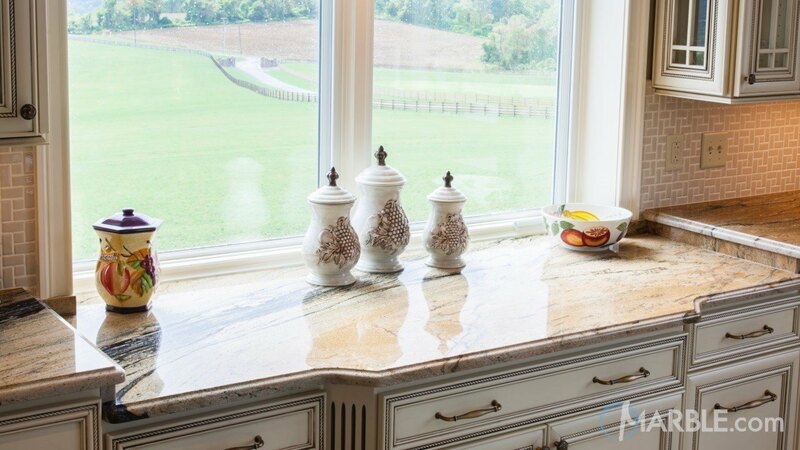 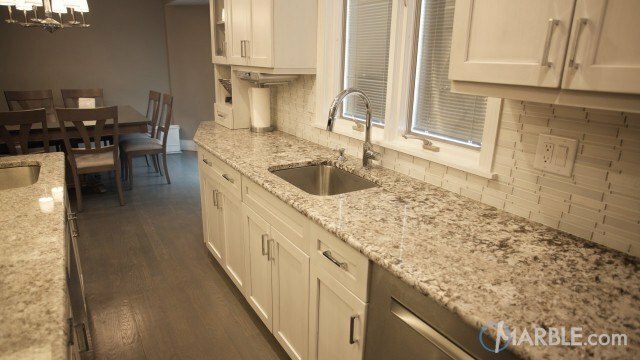 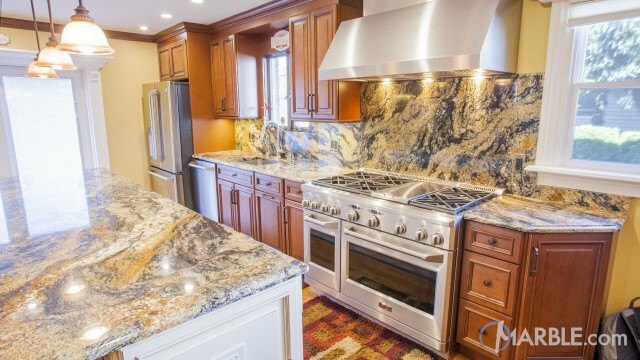 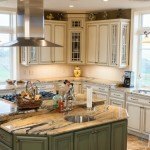 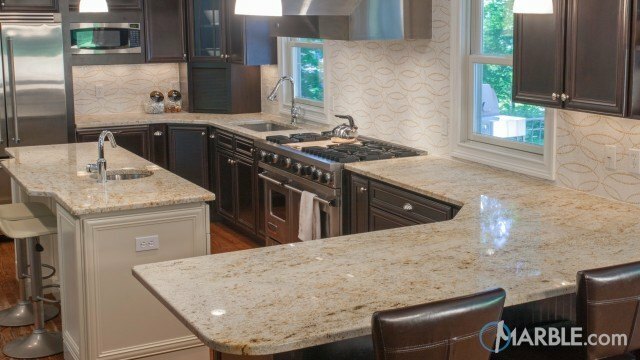 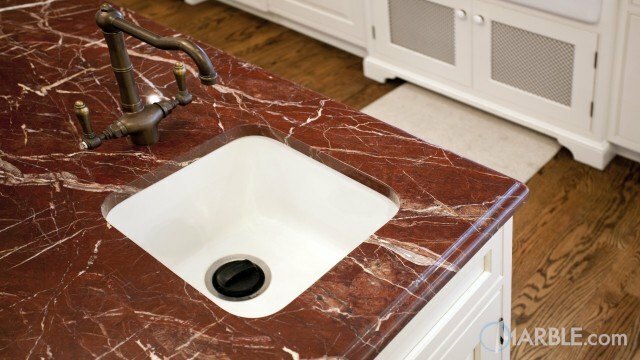 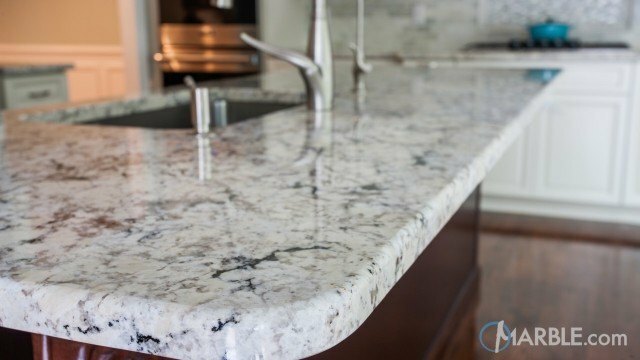 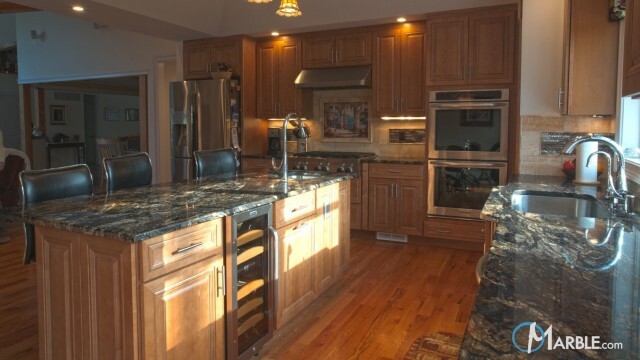 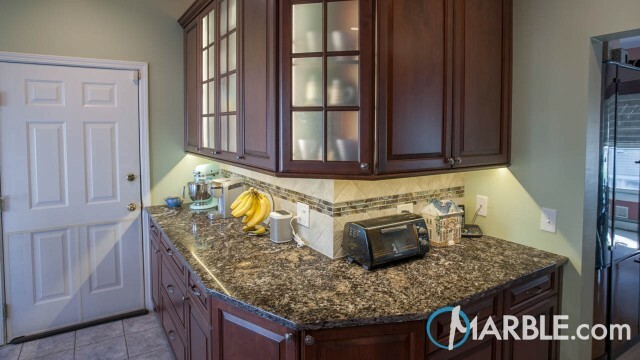 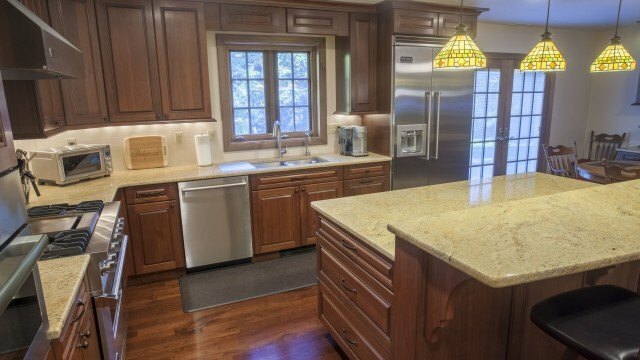 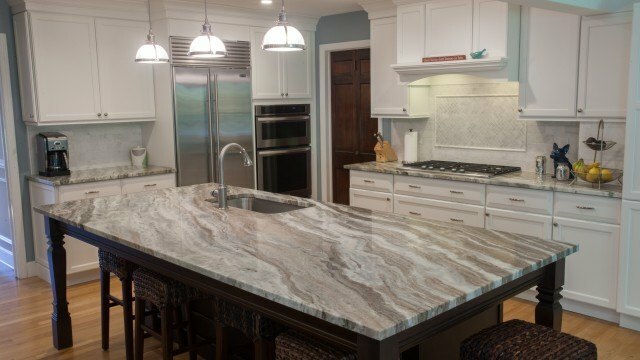 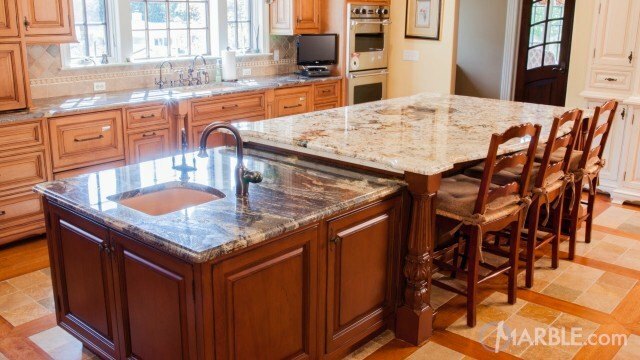 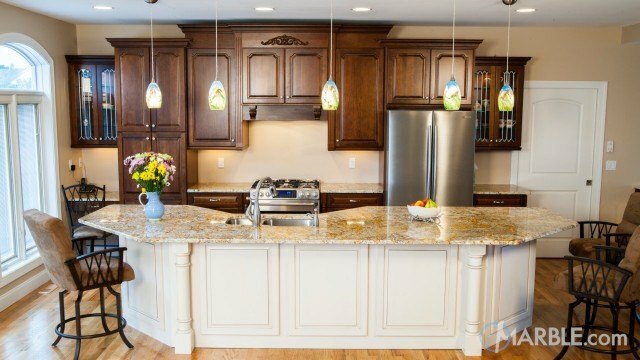 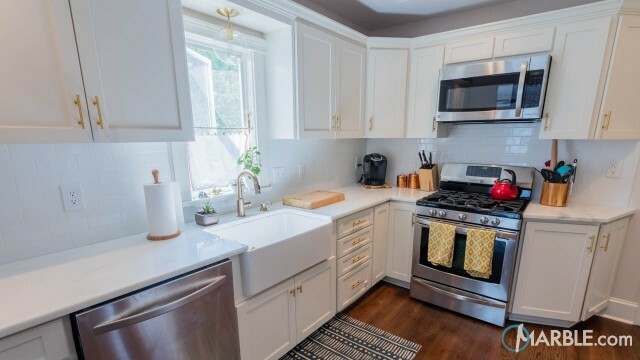 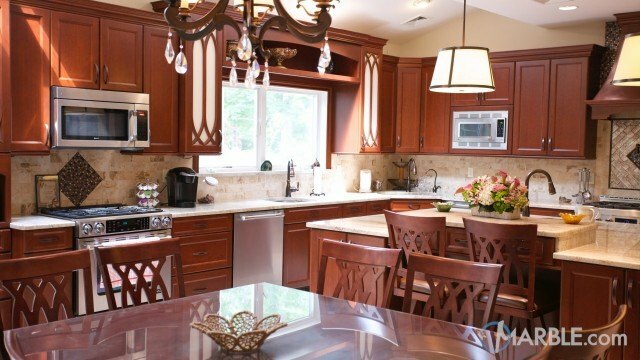 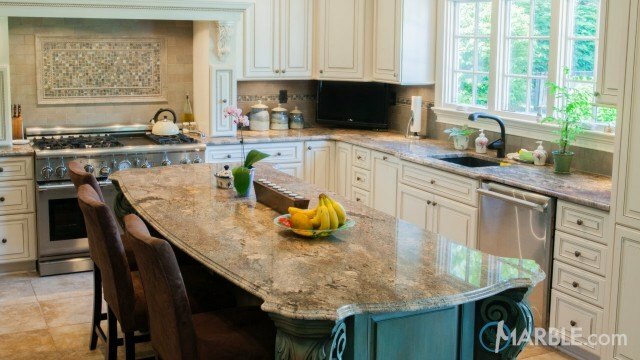 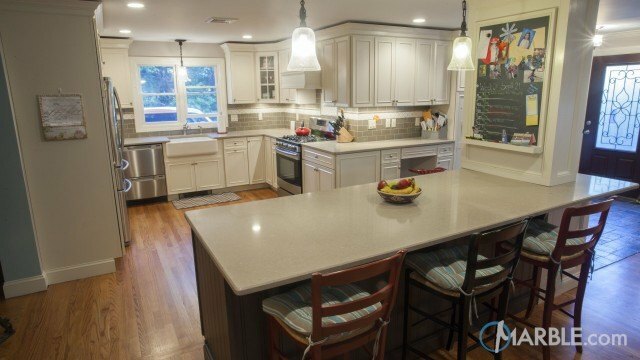 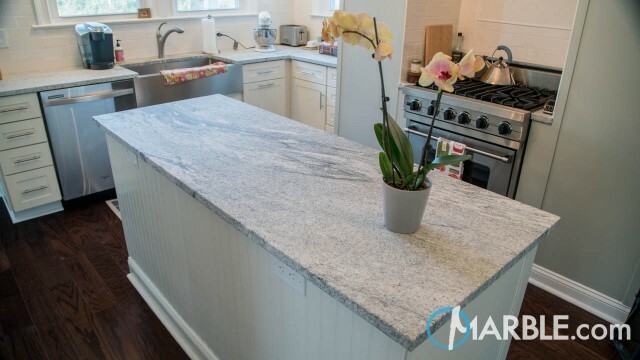 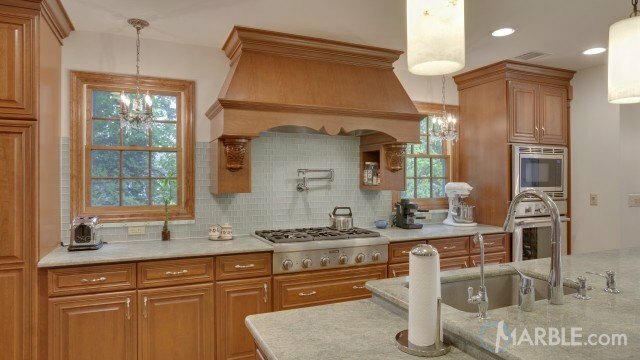 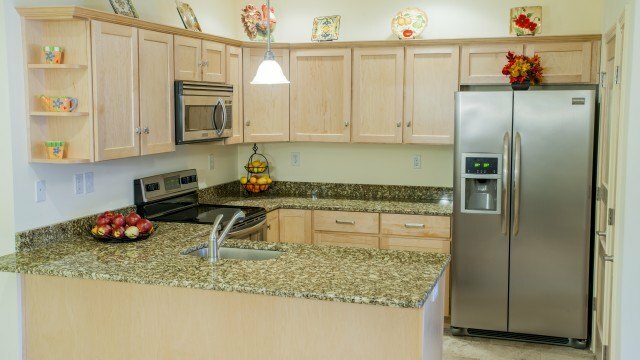 Peregrine C is one of Marble.com's favorite granite countertop materials. 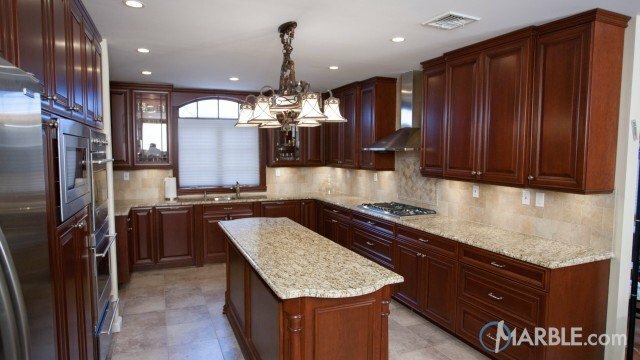 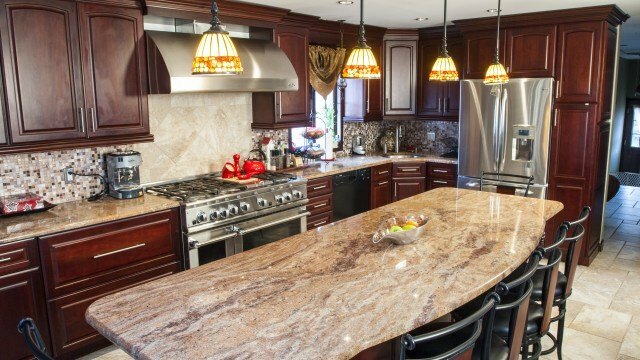 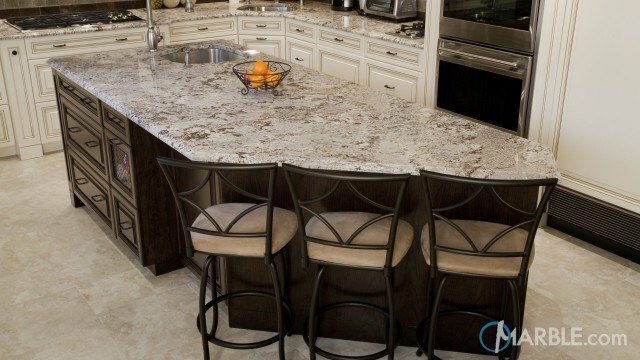 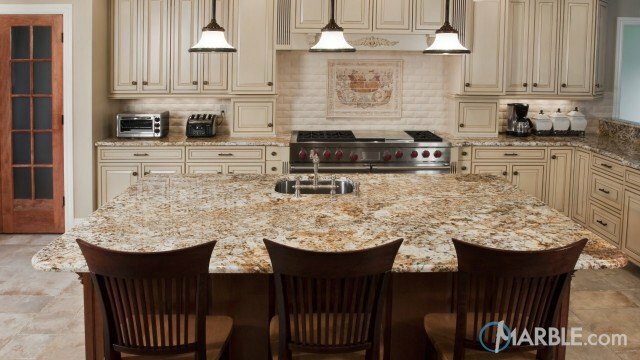 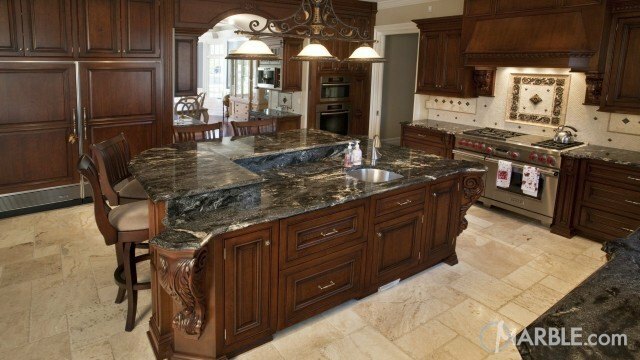 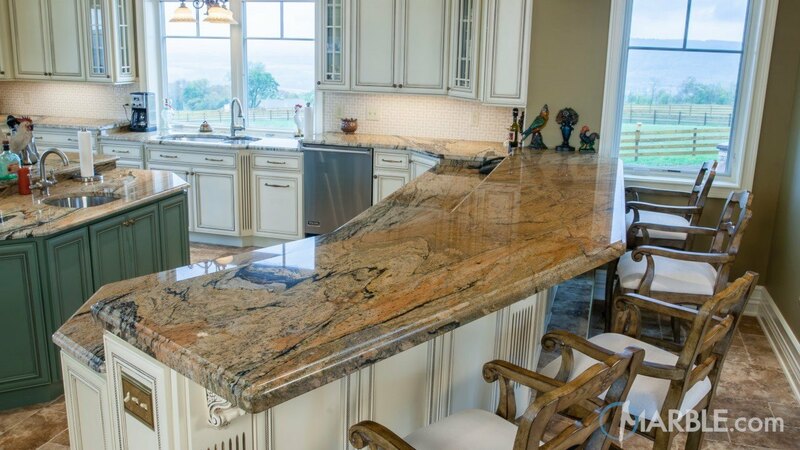 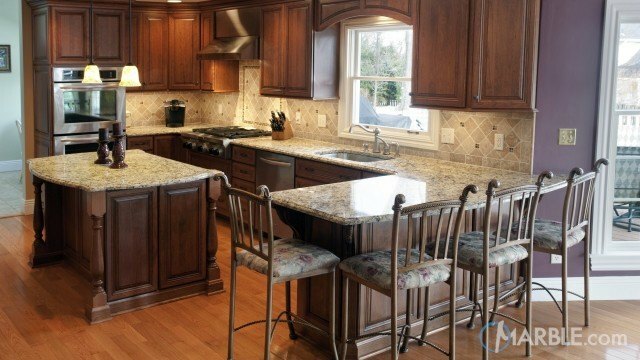 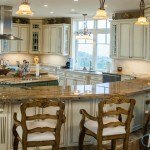 The rich dark veins that run through an easy to match cream color makes this stone absolutely magnificent. 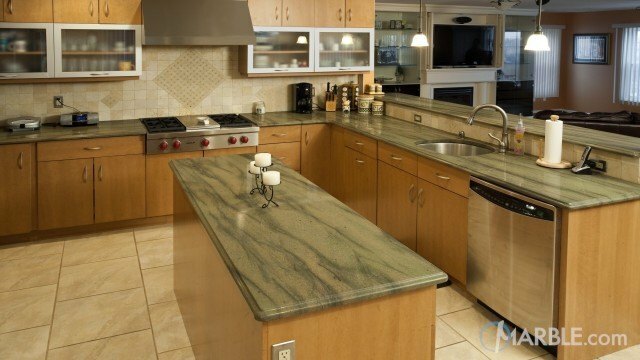 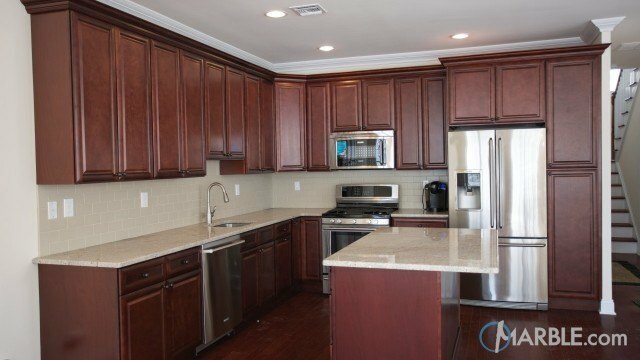 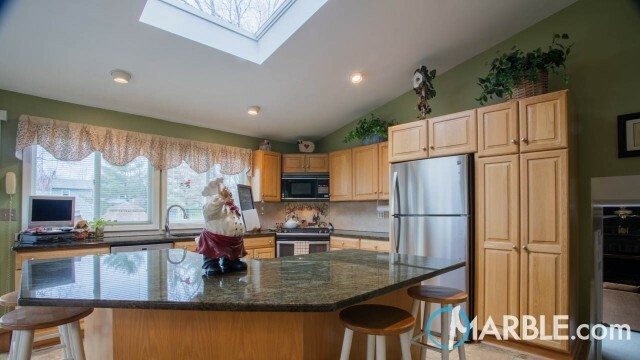 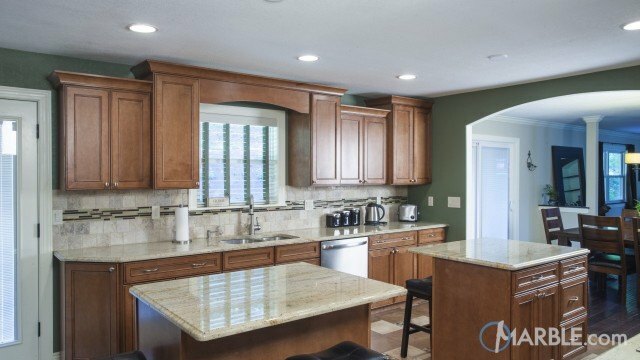 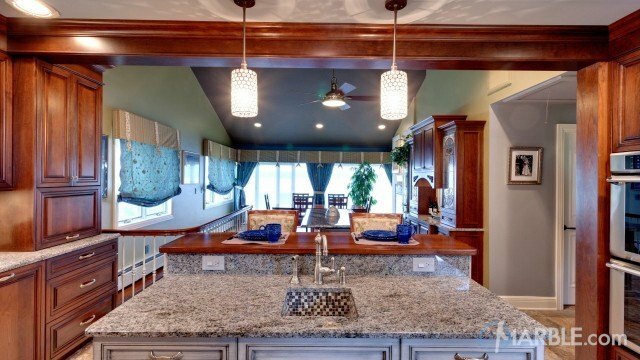 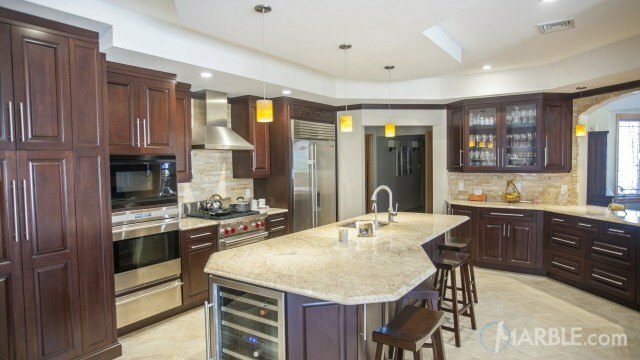 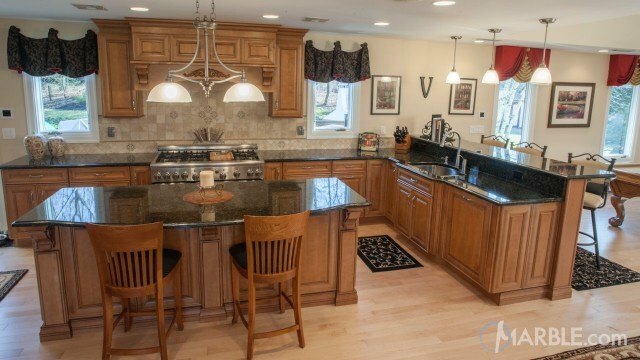 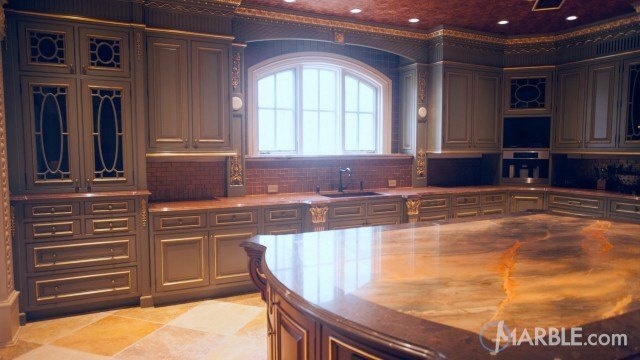 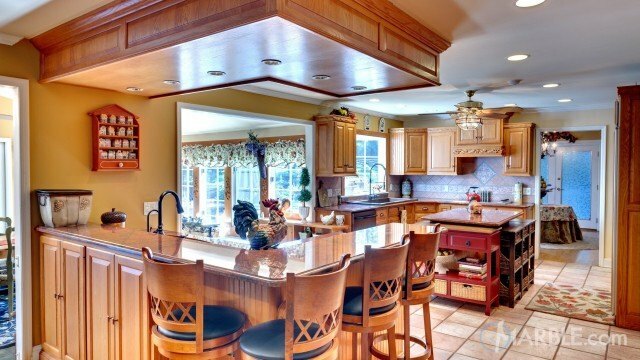 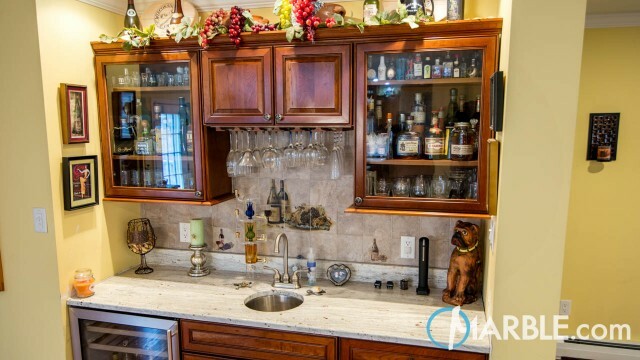 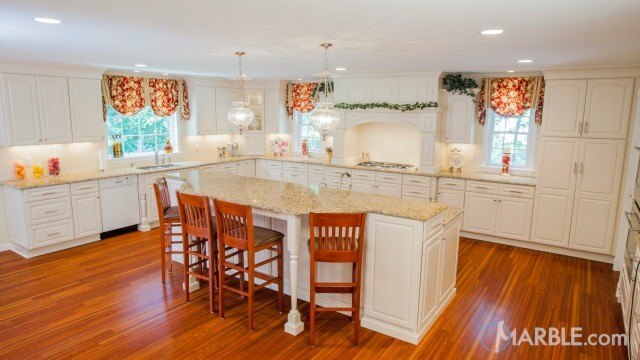 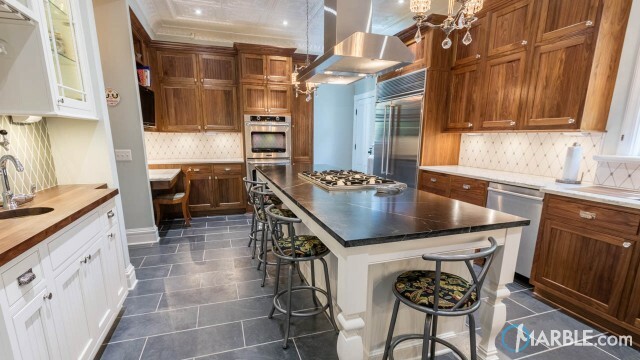 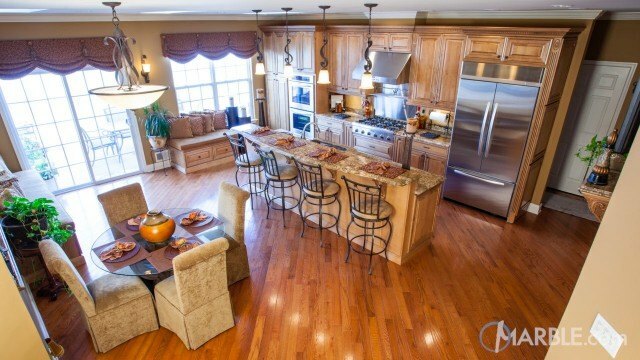 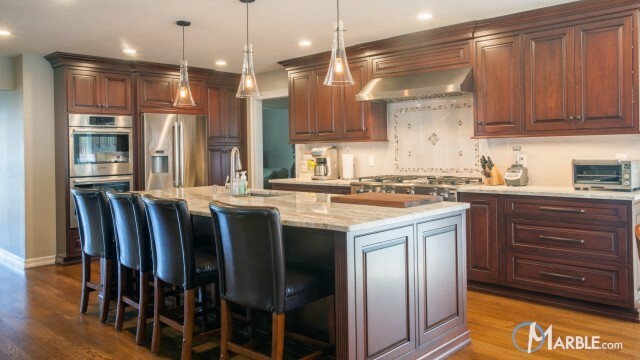 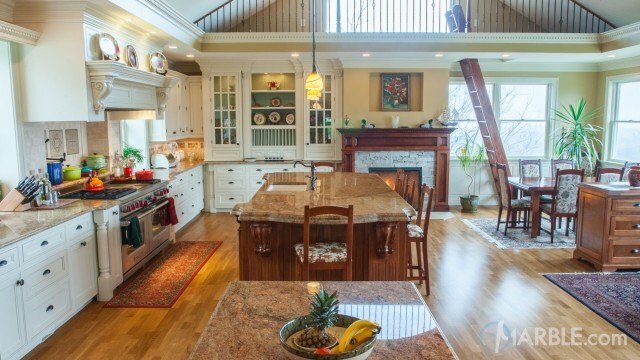 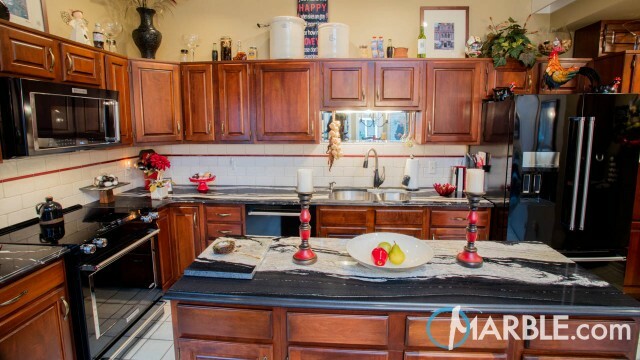 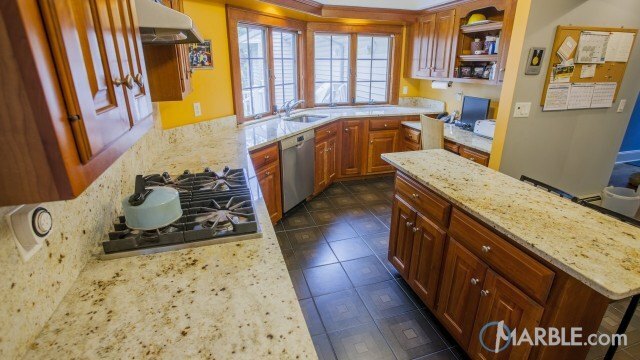 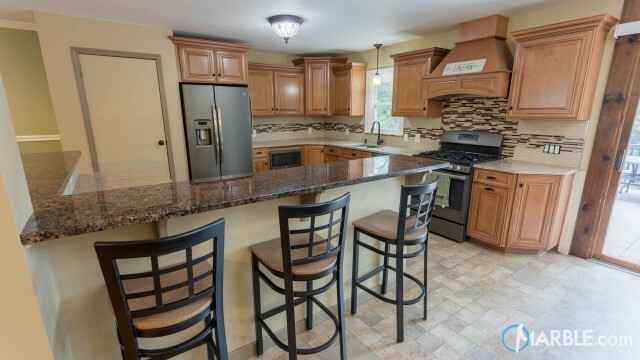 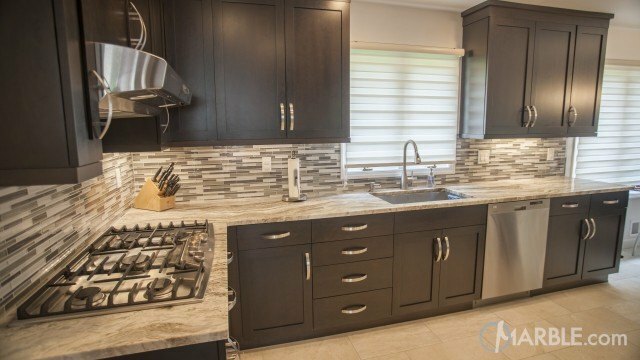 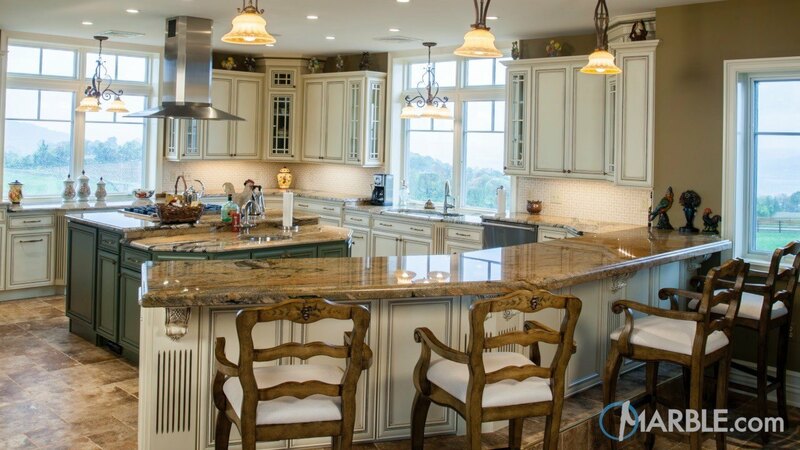 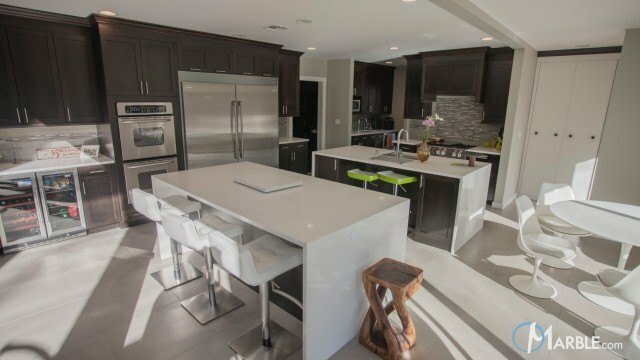 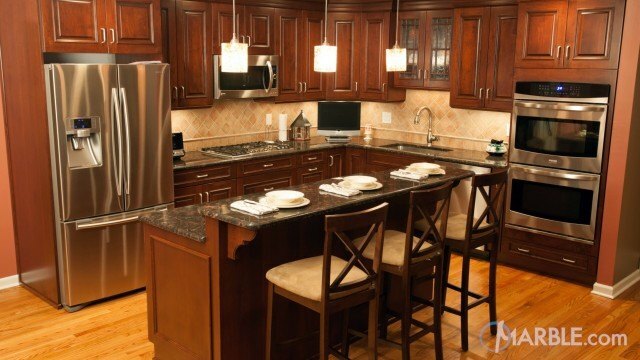 The green kitchen island creates the perfect contrast to this countertop.